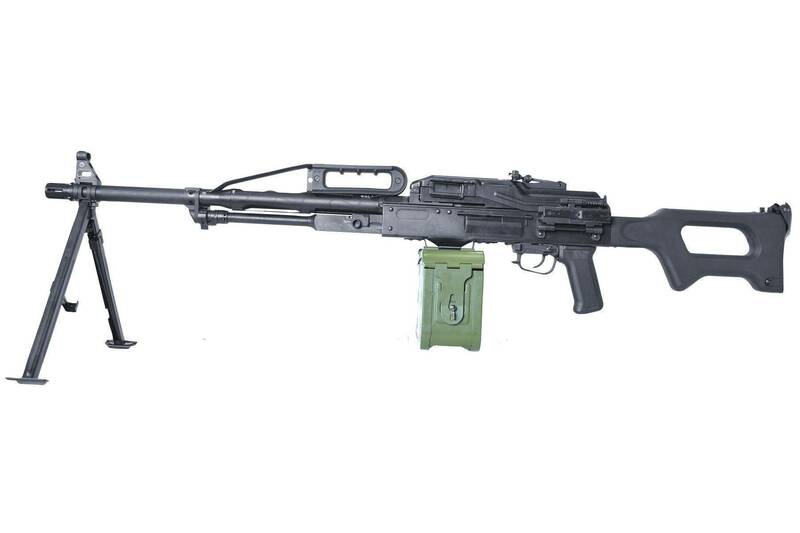 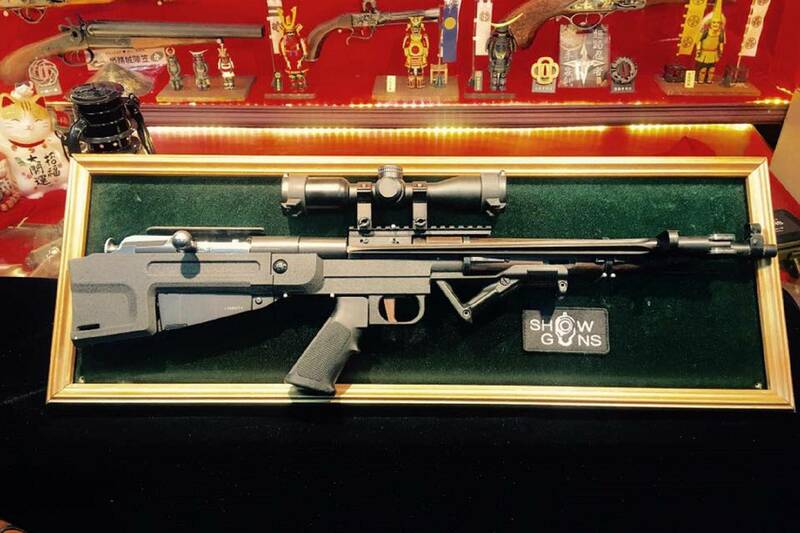 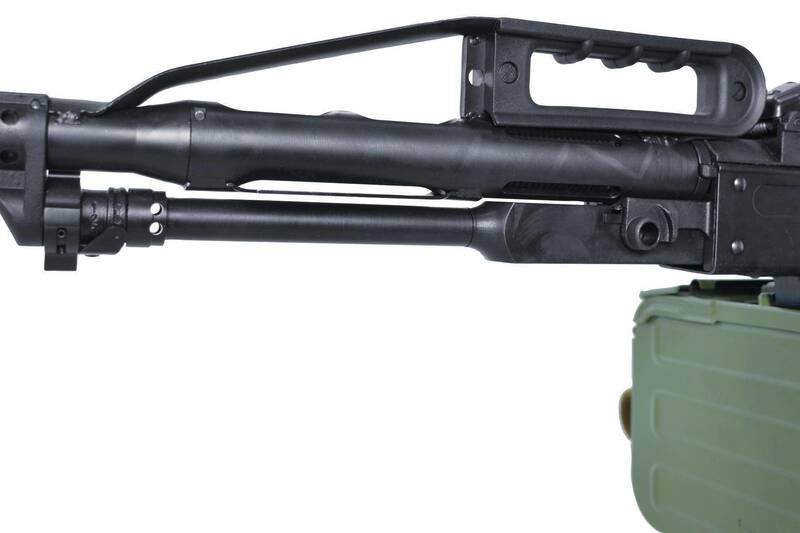 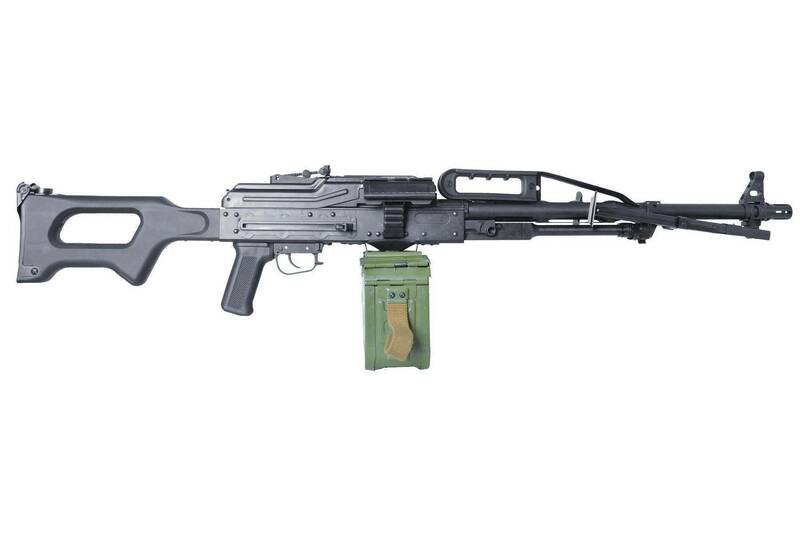 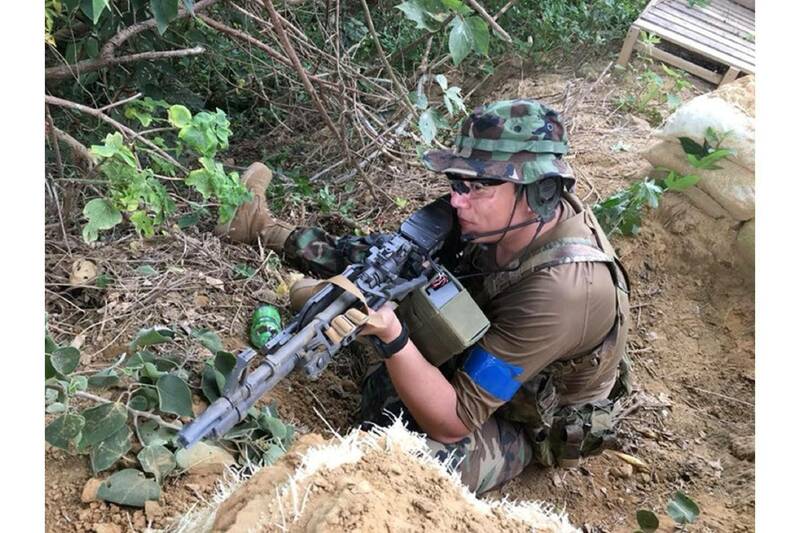 PKP, aka Pencheneg, is the latest GPMG in services of Russian Army and Spetsnaz. 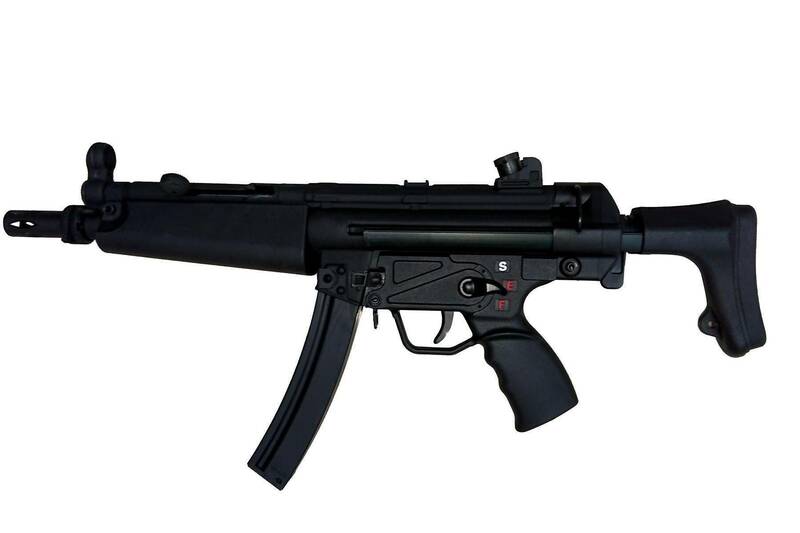 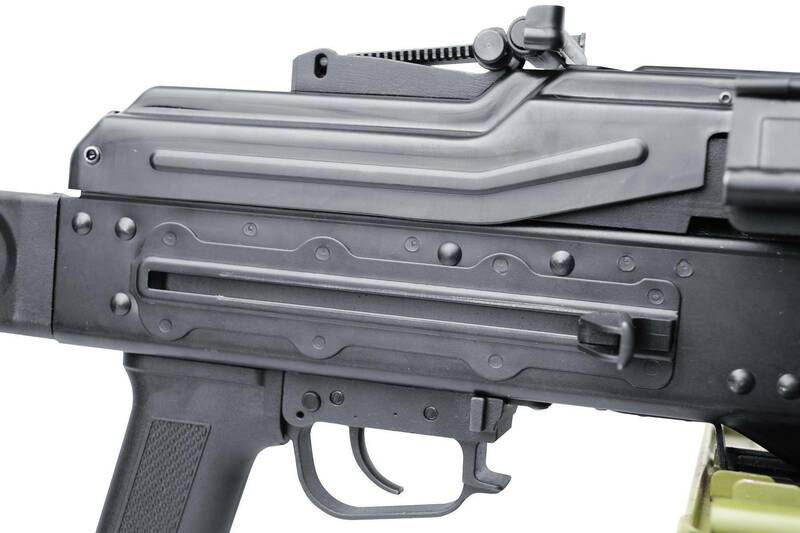 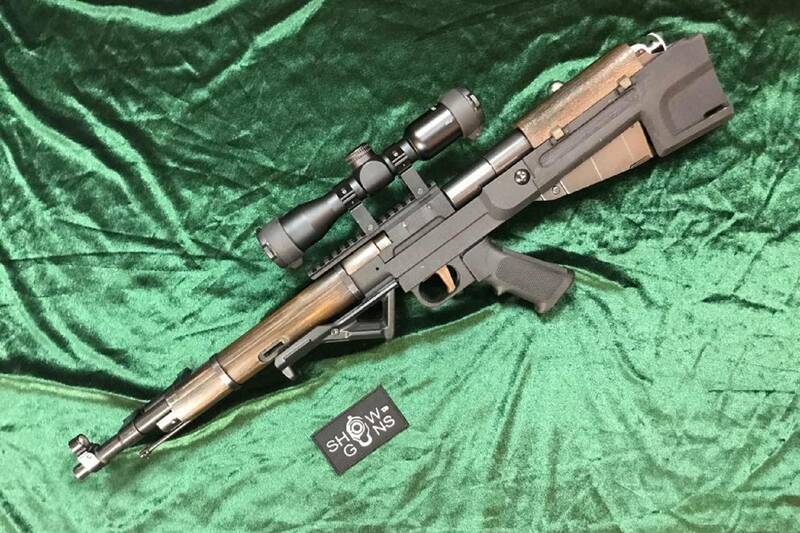 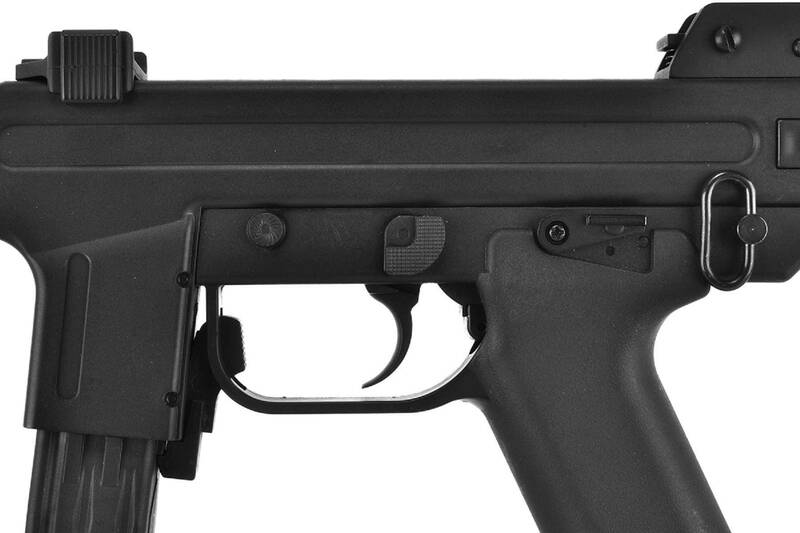 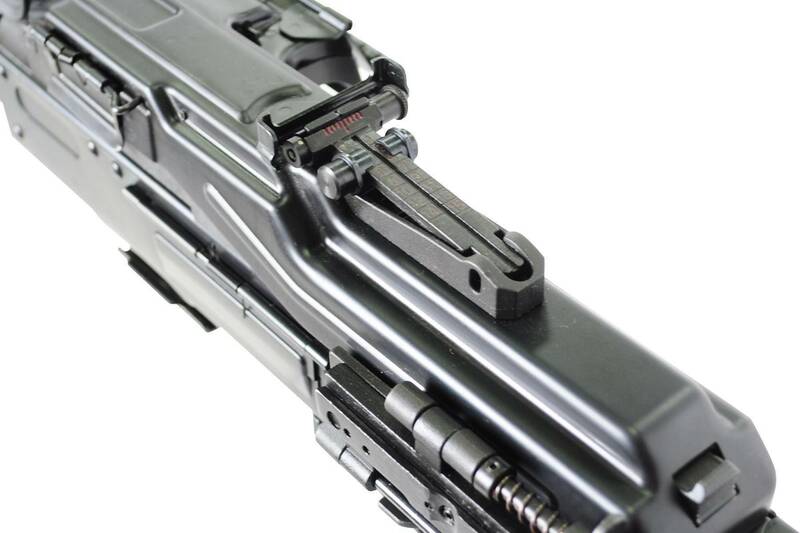 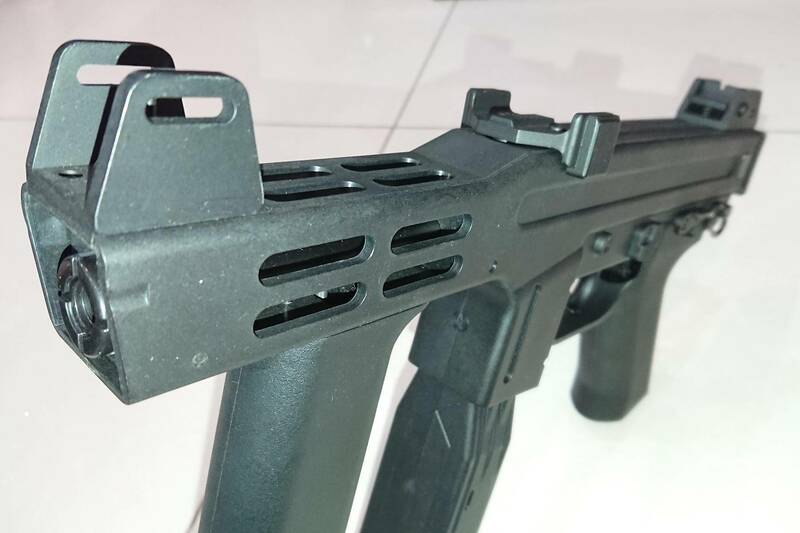 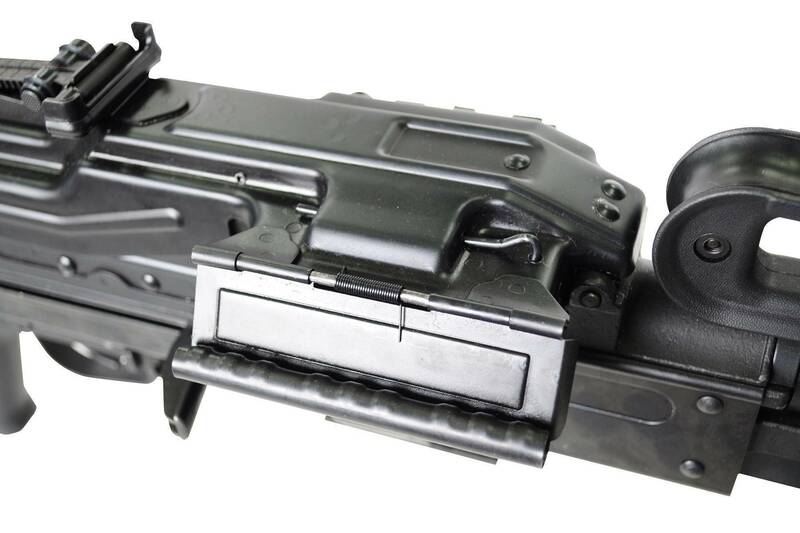 LCT has noticed PKP for quite a while and decided to reproduce the AEG version of it. 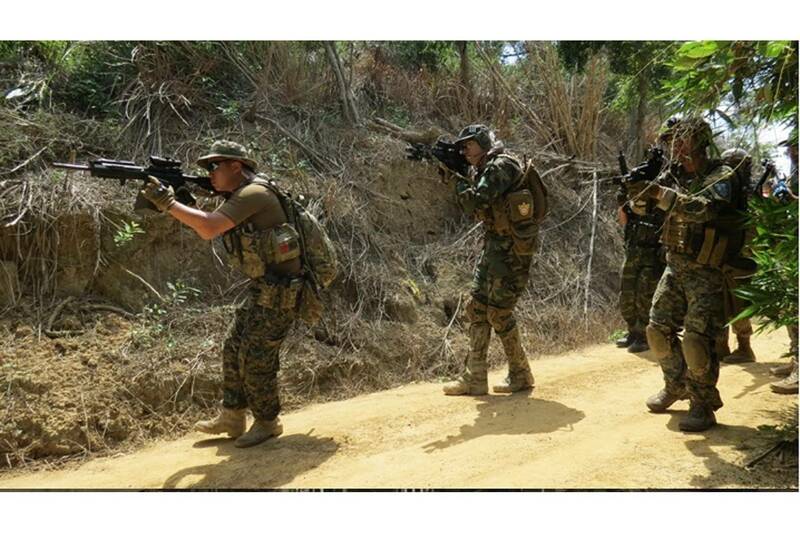  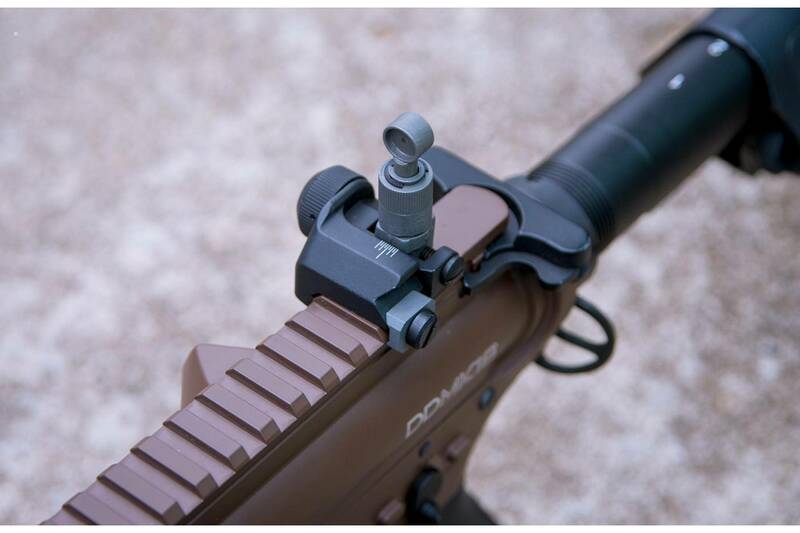 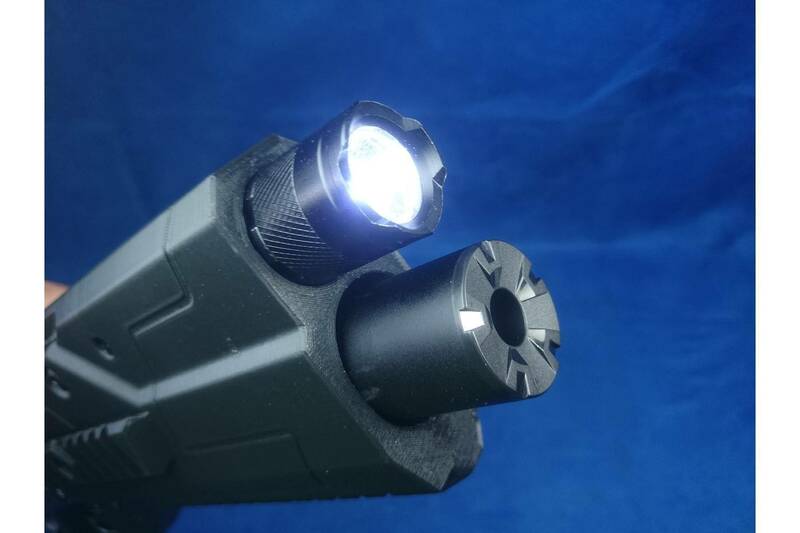 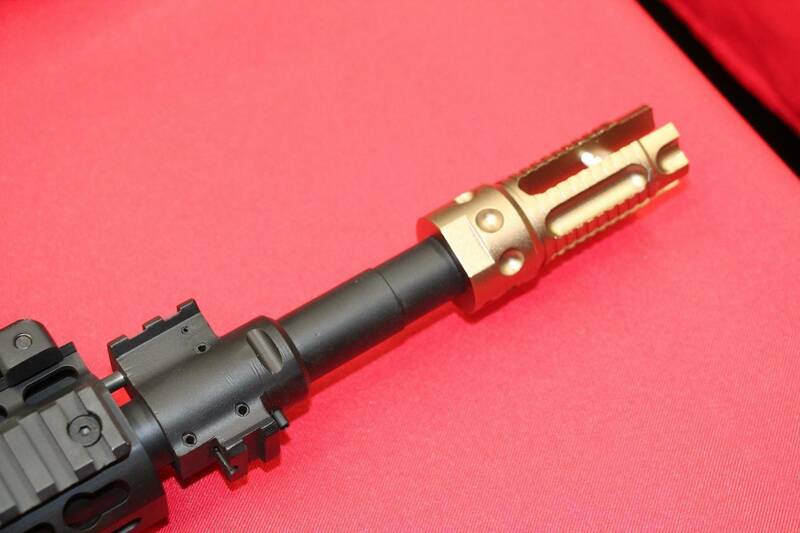 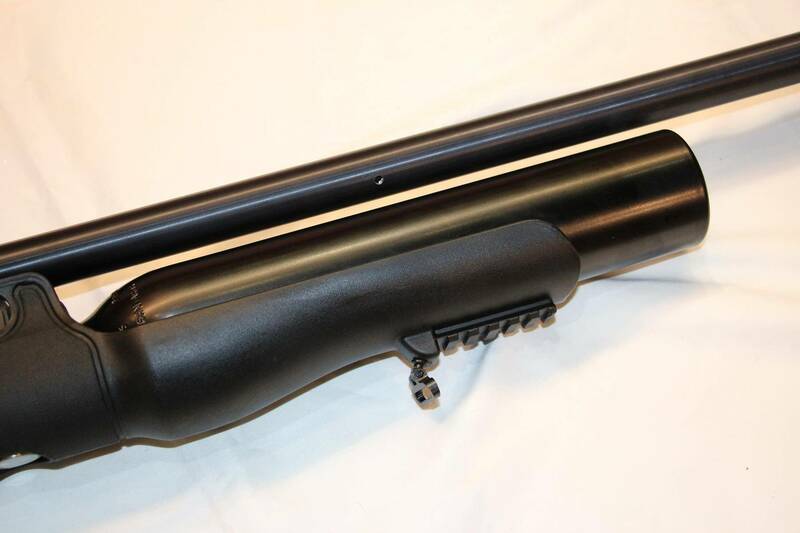 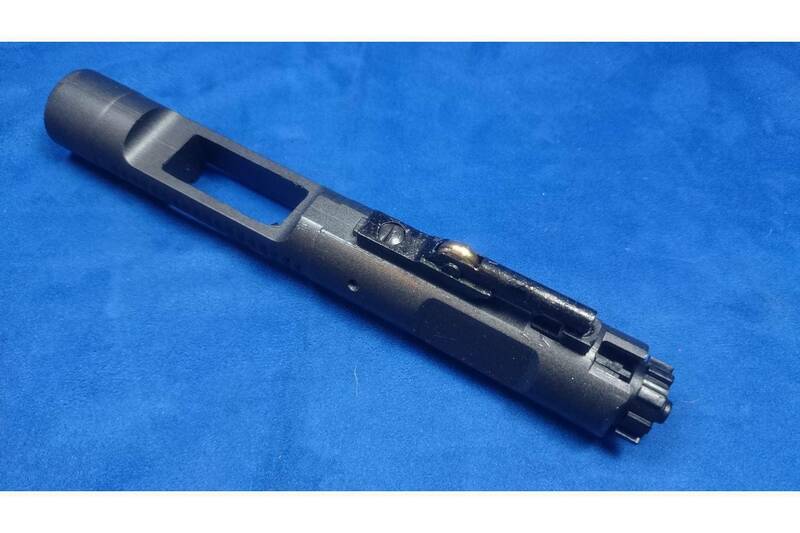 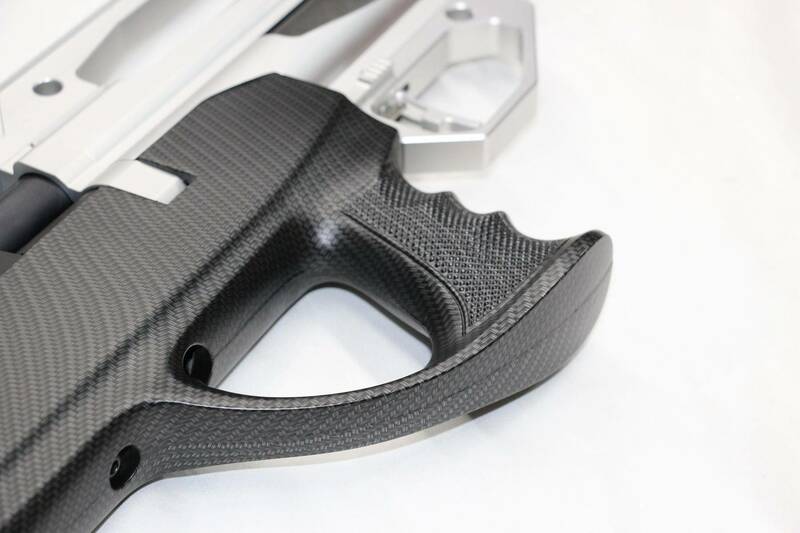 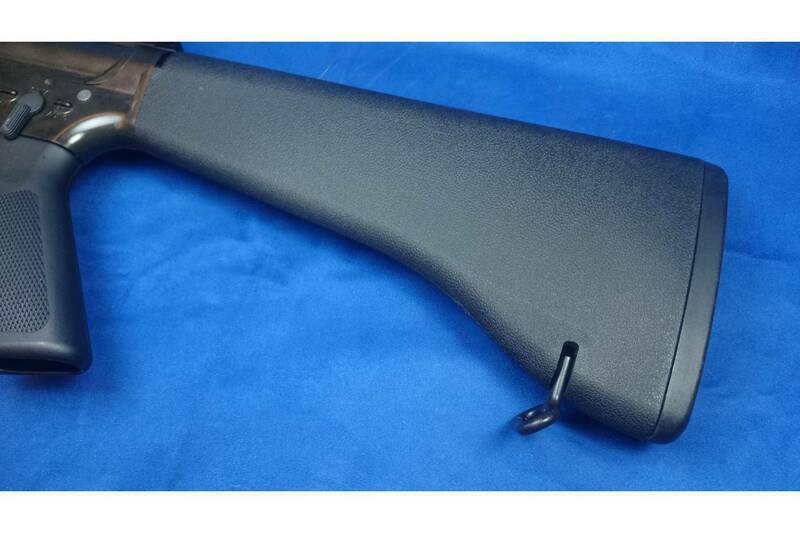 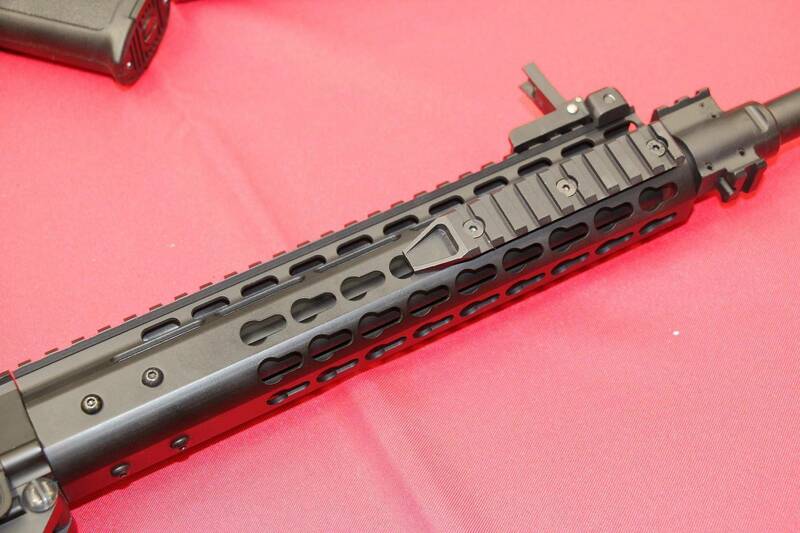 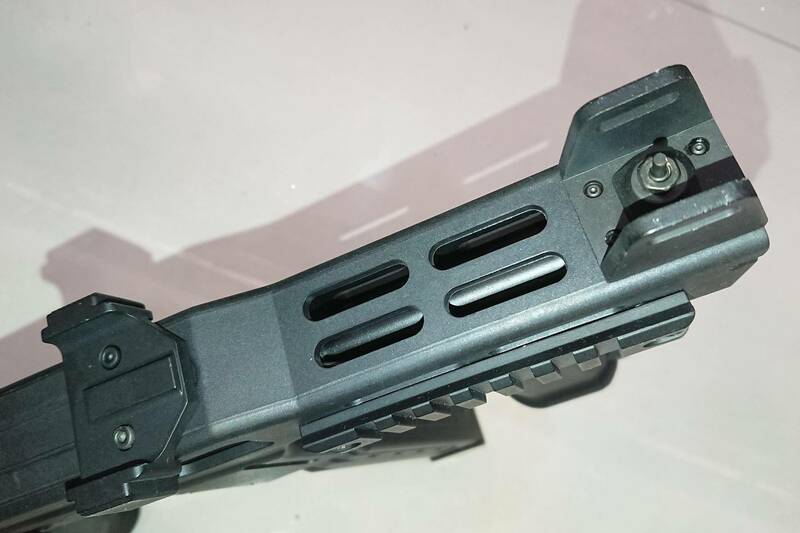 美國〝捕掠者戰術〞(Predator Tactical)公司以生產客制化競技用槍聞名，2017年該廠選擇了與King Arms合作，打造了獲得授權的模擬競技氣動手槍〝鐵伯勞1911〞(Iron Shrike 1911)後，今年再推出其進化版〝戰術伯勞1911〞，並針對生存遊戲需求加以強化，勢必成為今夏話題最夯的手槍… King Arms cooperated with Predator Tactical in 2017, to produce the AEG form of the famous Iron Shrike 1911. 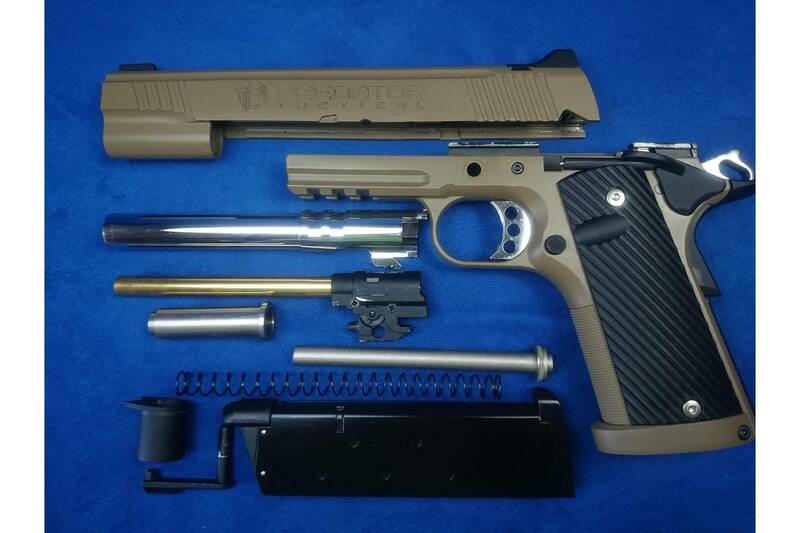 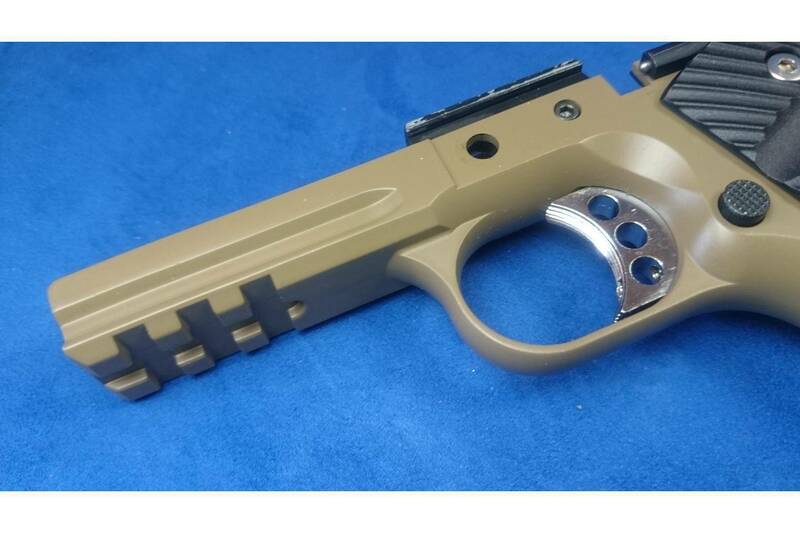 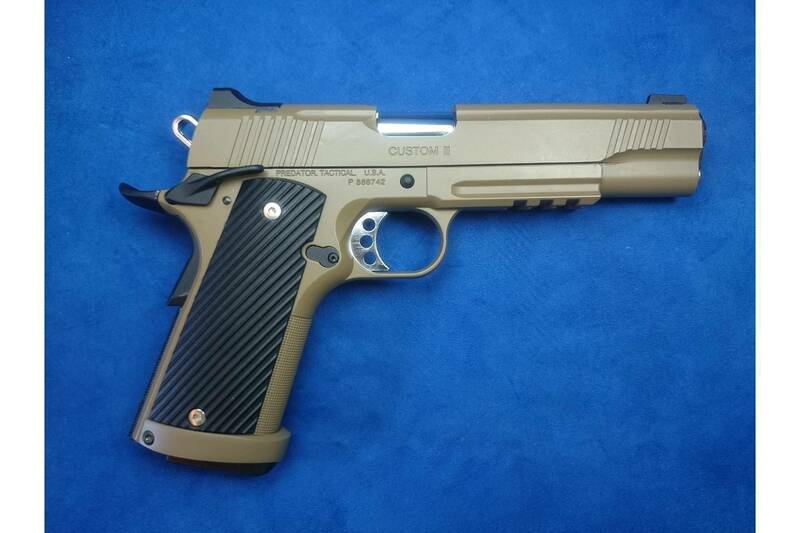 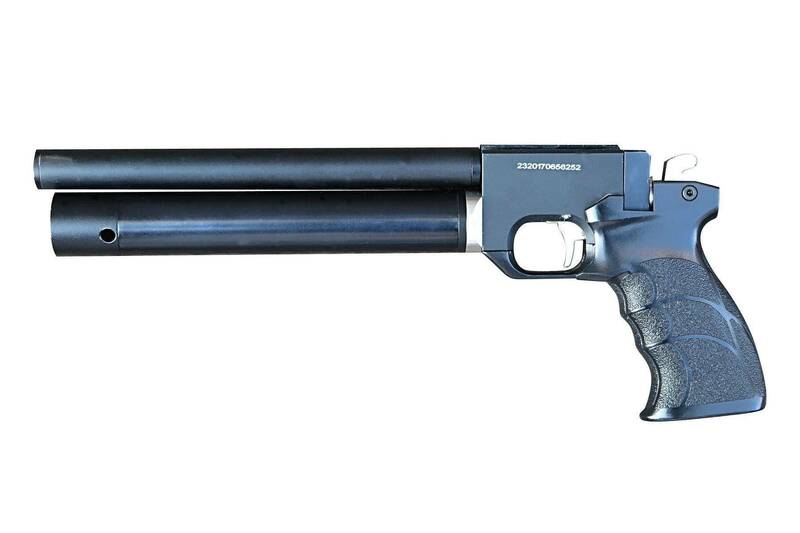 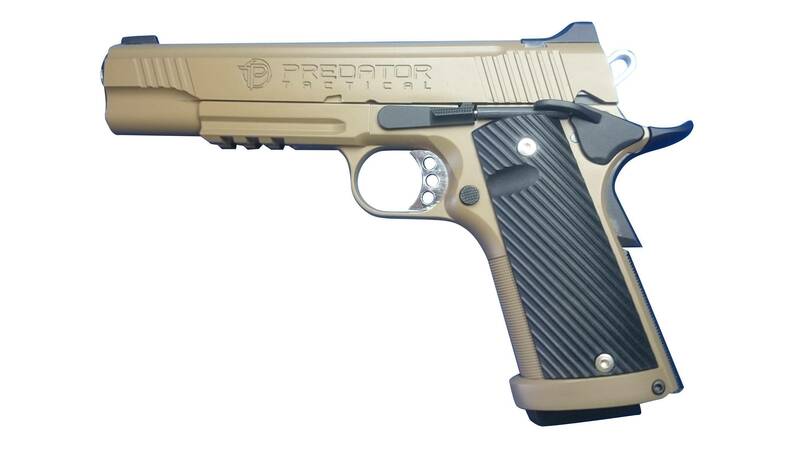 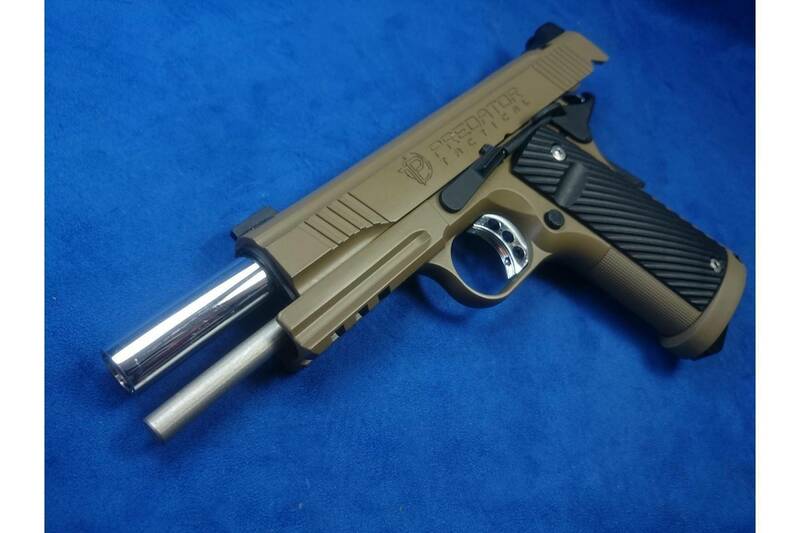 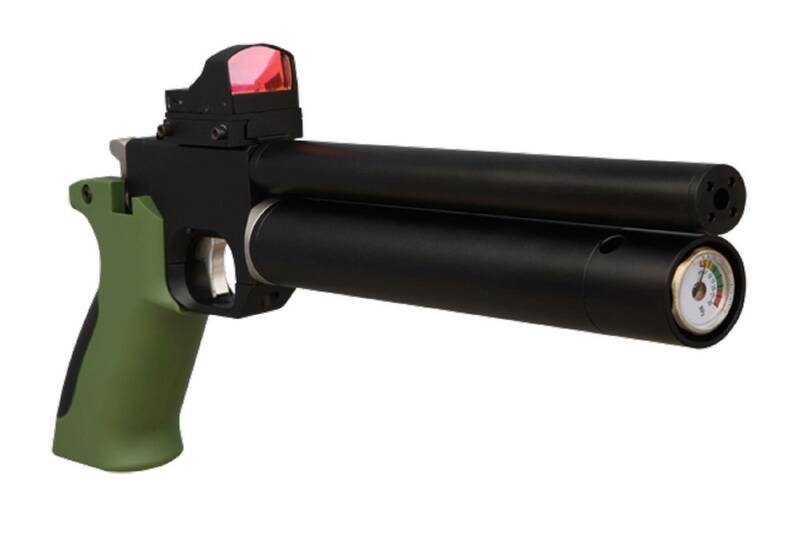 This year, KA continues to improve the competition pistol, and launched the modified Tactical Shrike 1911. 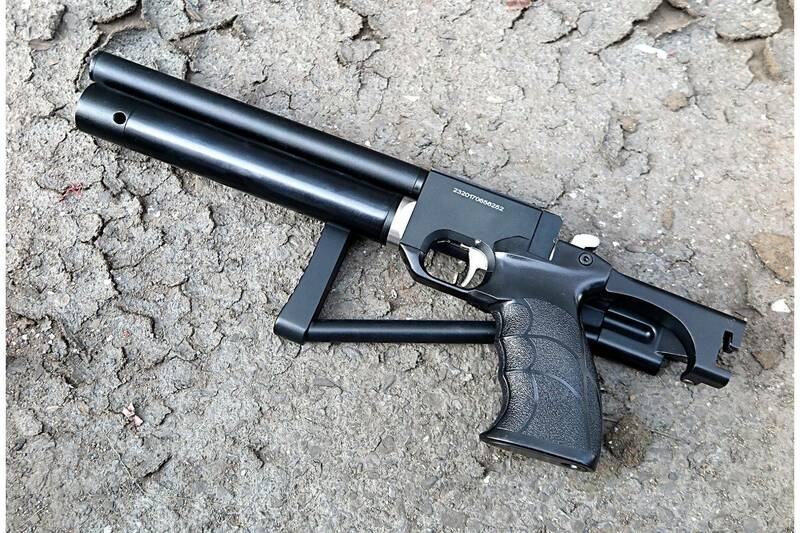 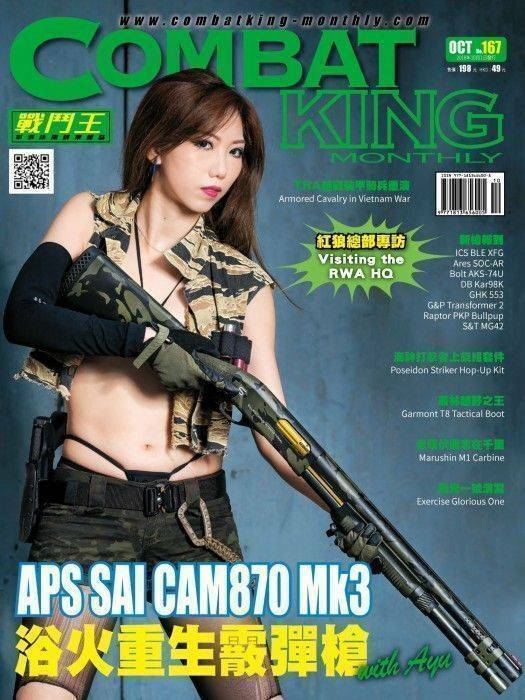 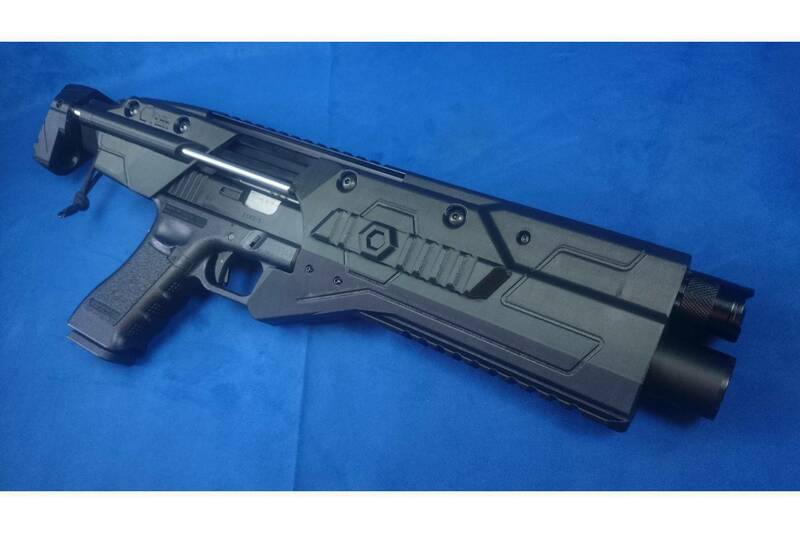 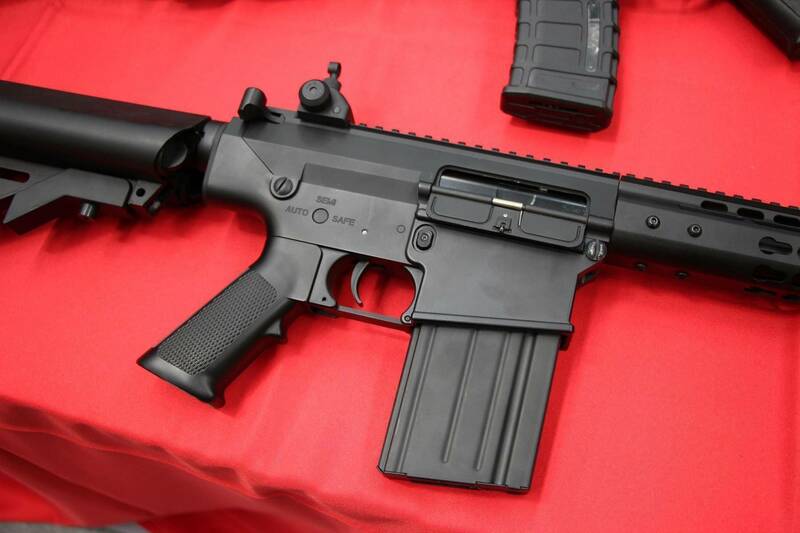 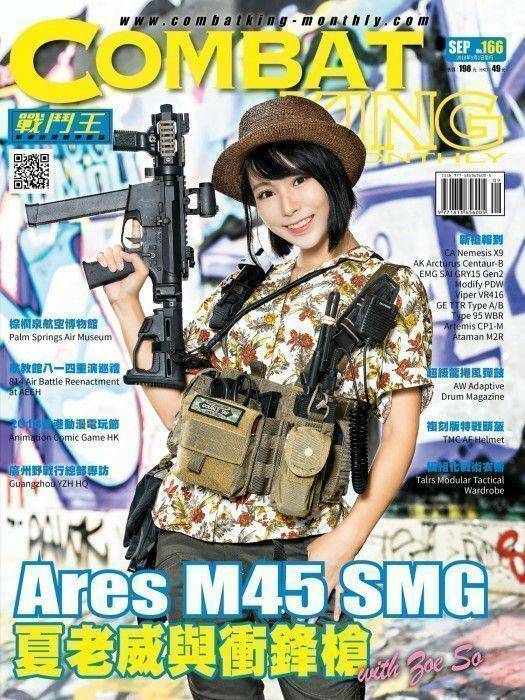 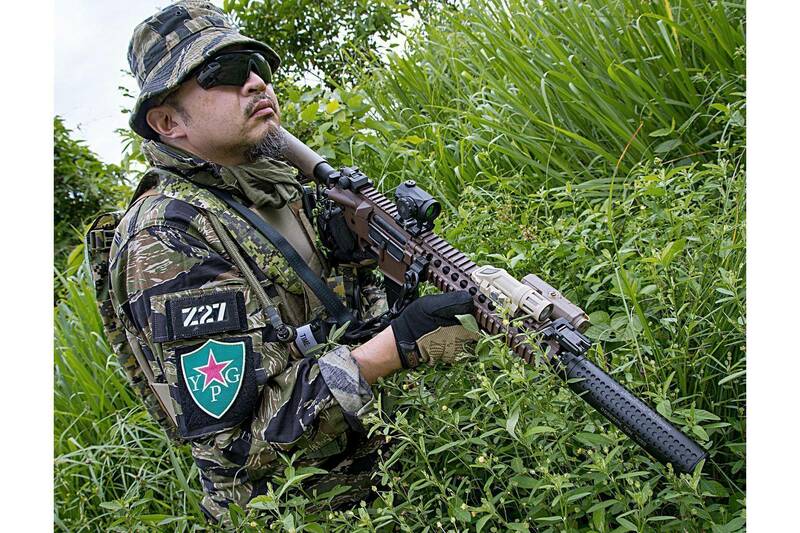 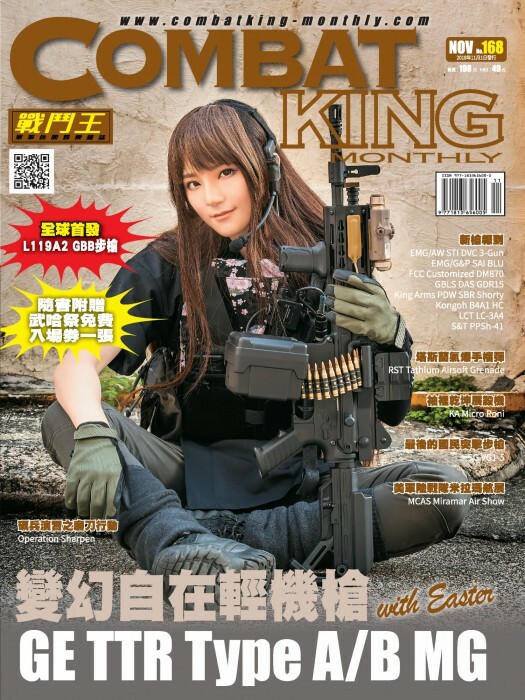 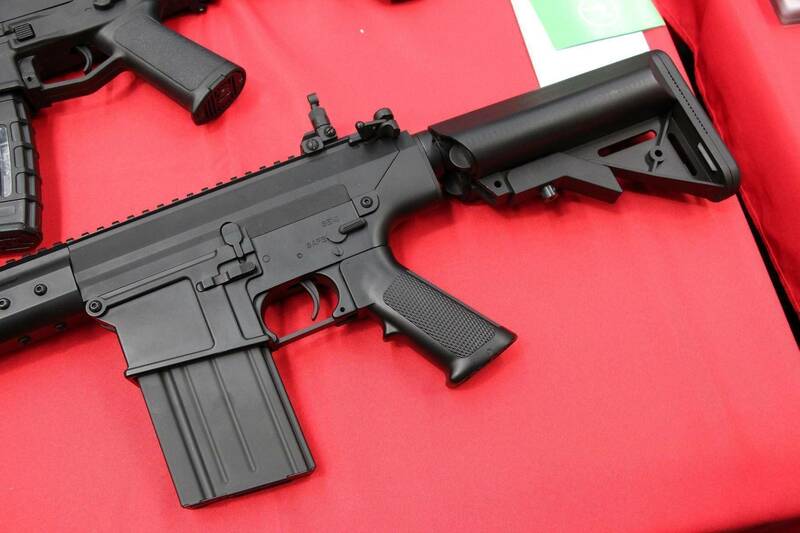 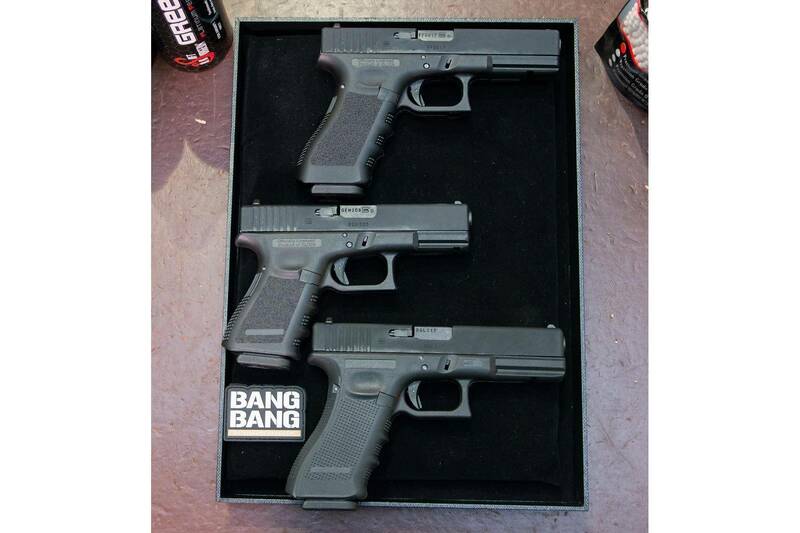 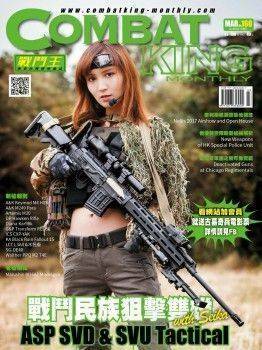 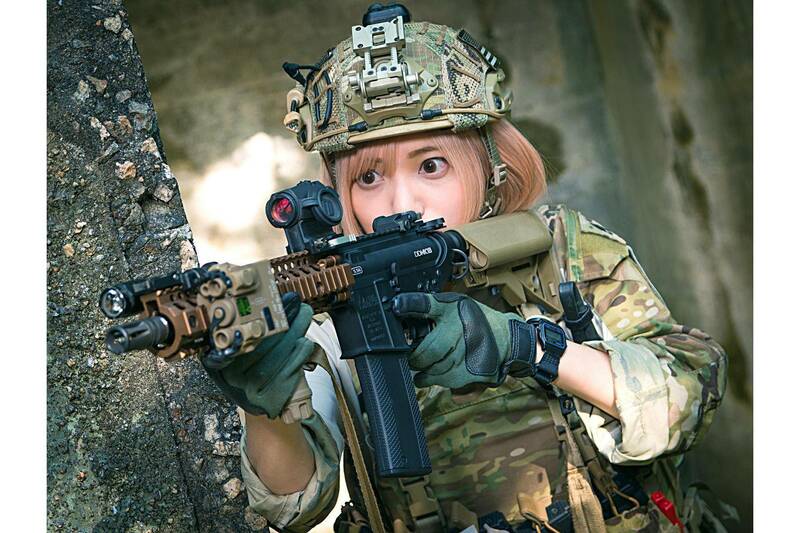 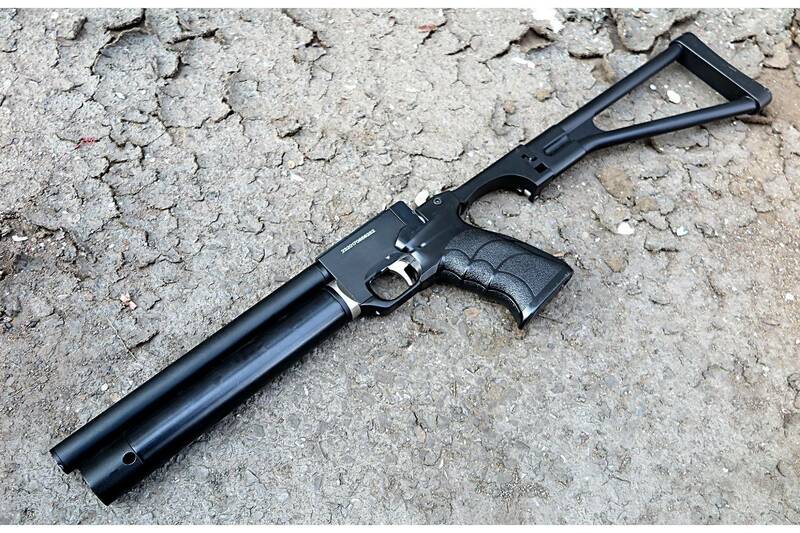 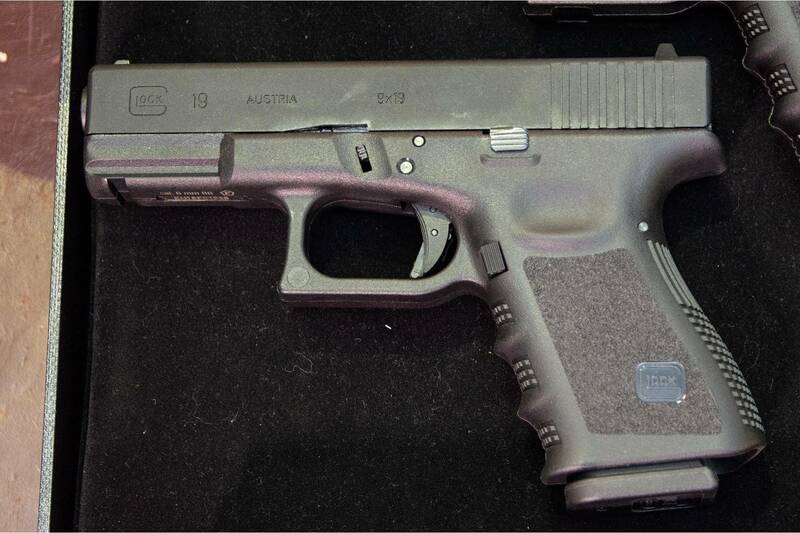 It’ll definitely become the most noticed GBB pistol among airsoft players…. 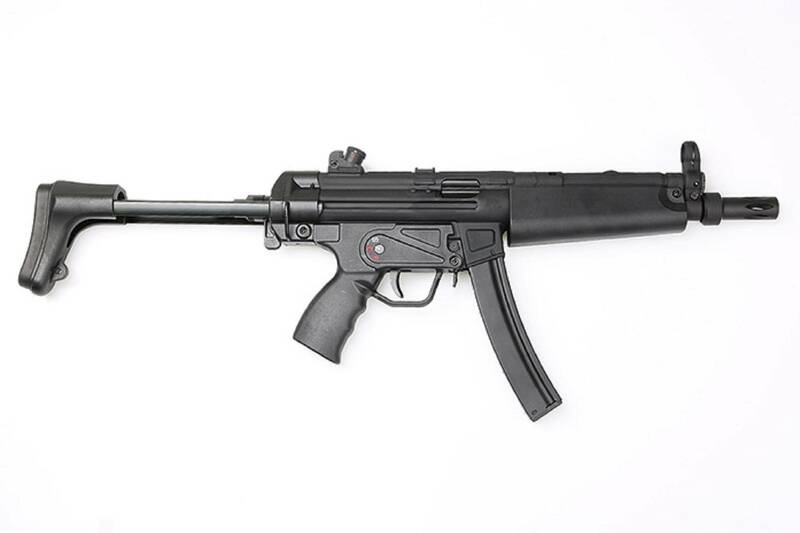 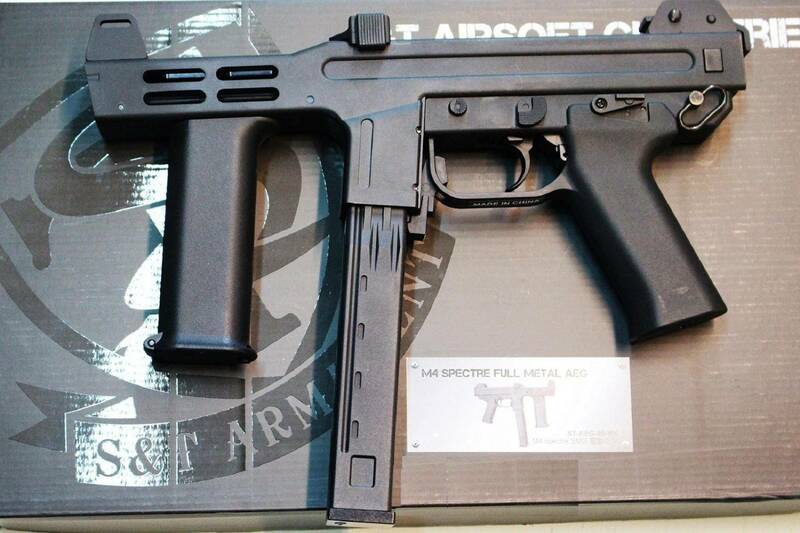 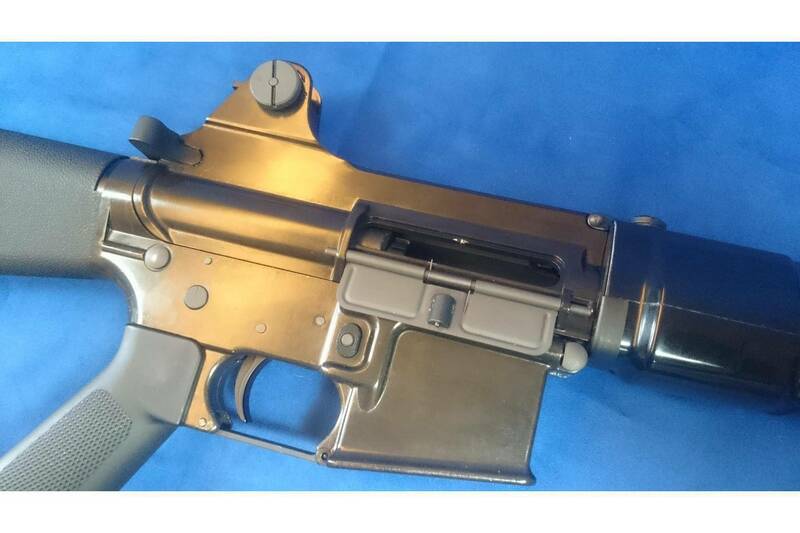 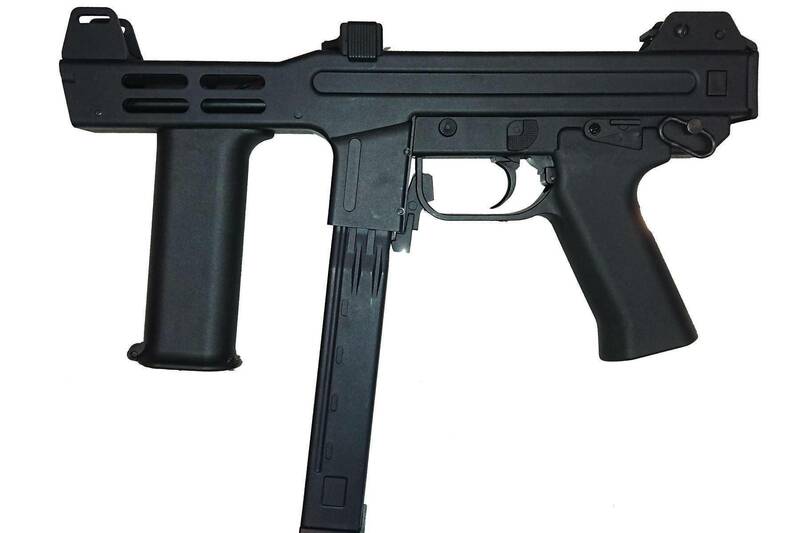 The real Spectre M4 SMG was developed by Italian SITES in mid 80s. 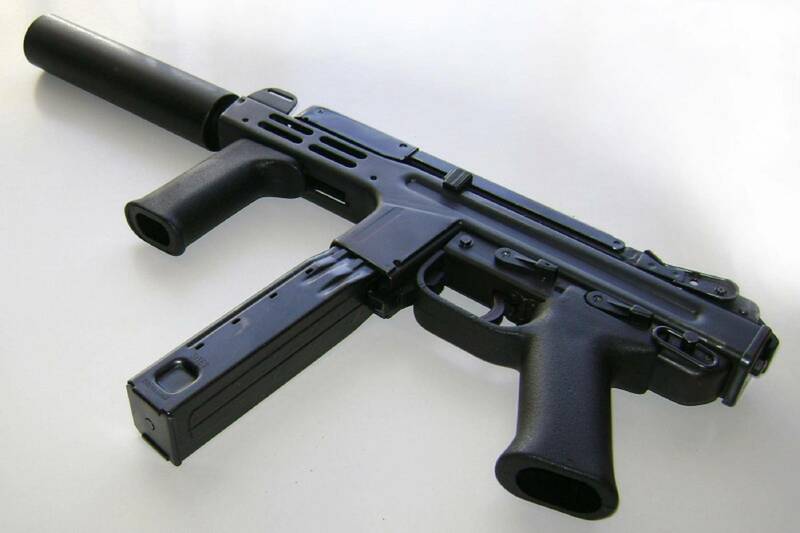 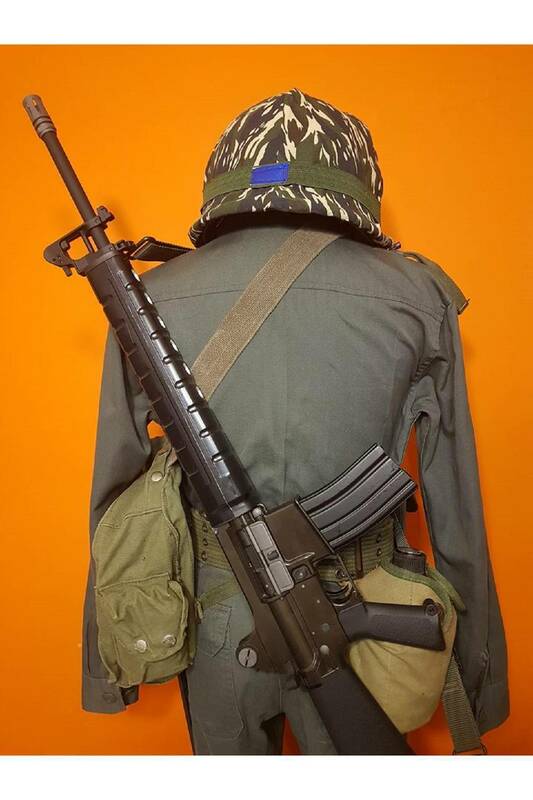 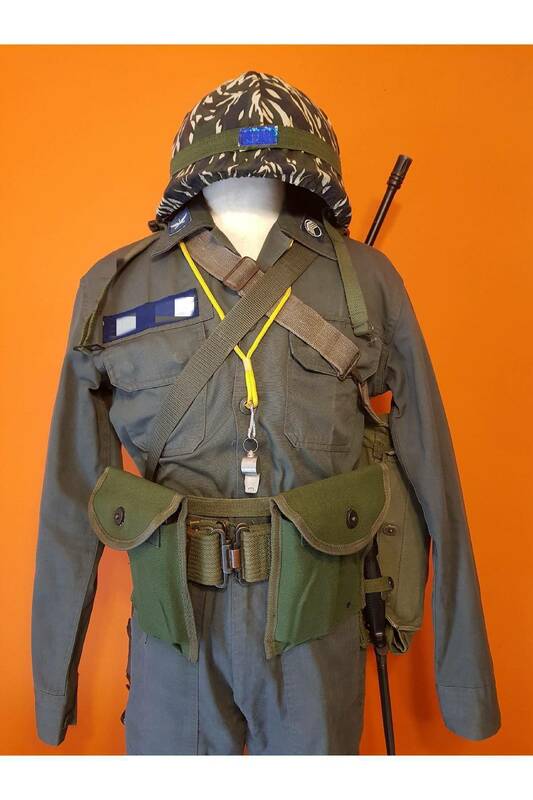 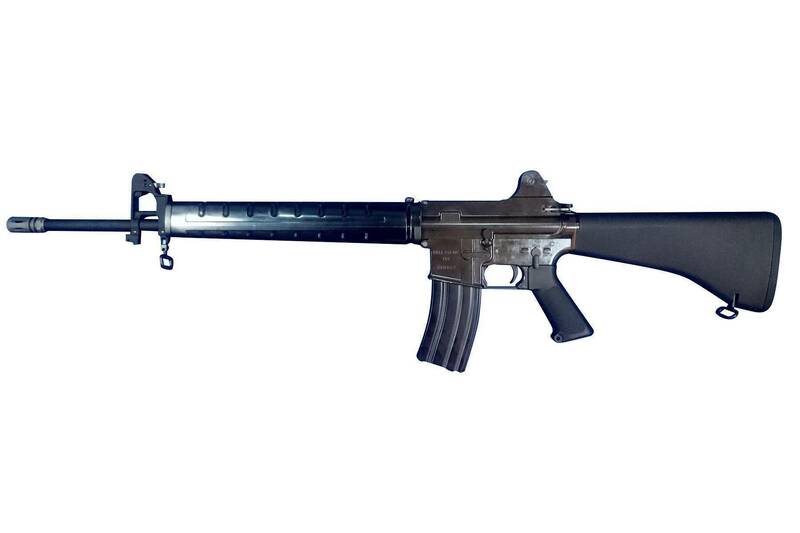 It’s very compact and unique, quite suitable for CQB and indoor combat. 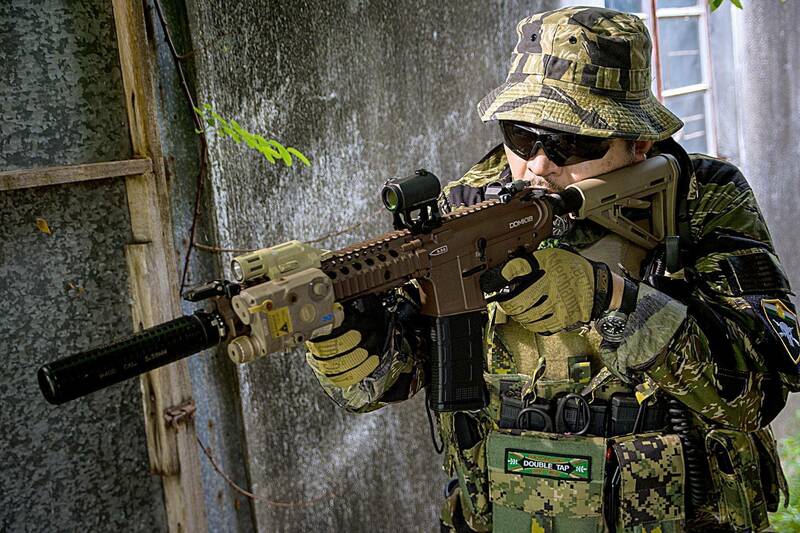 S&T from Hong Kong noticed its awesome character and decided to make the AEG version of it. 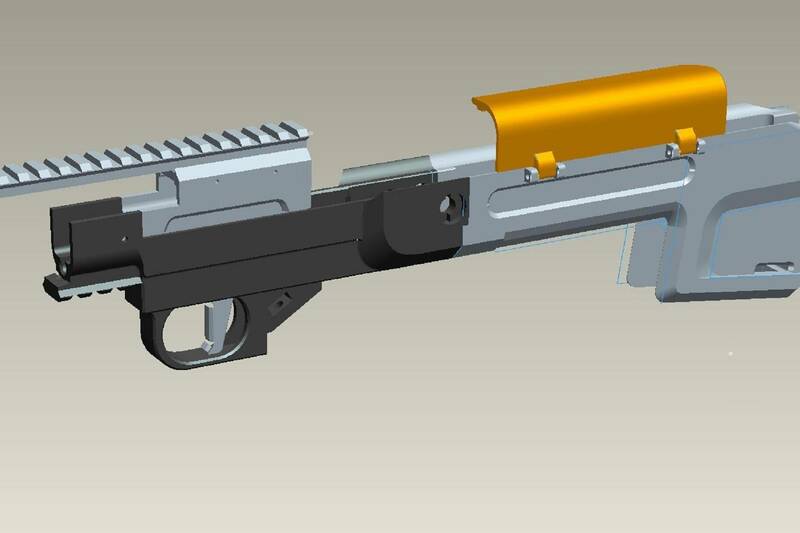 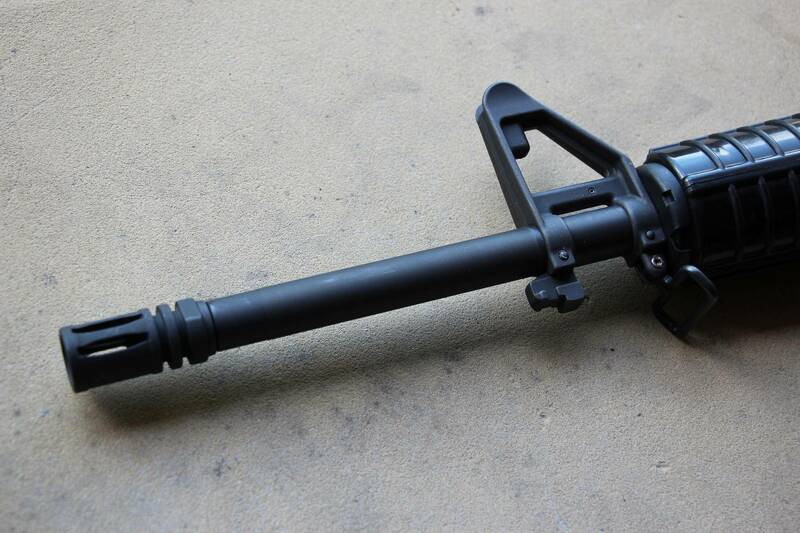 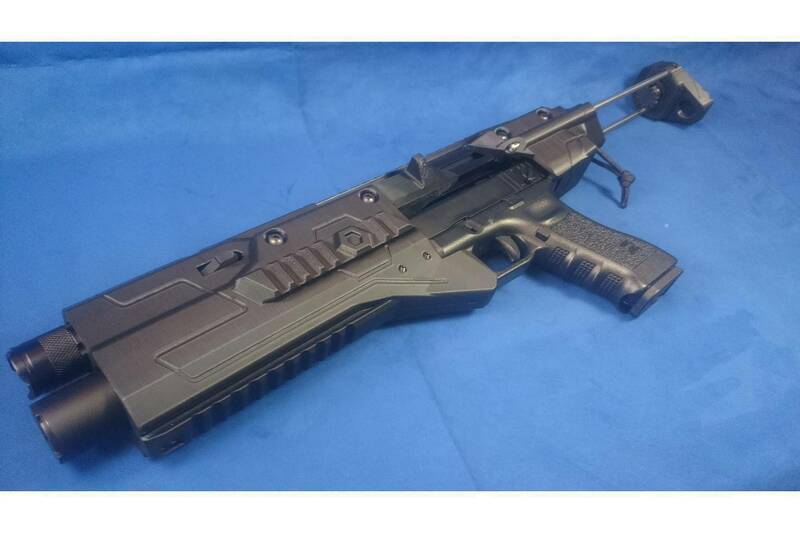 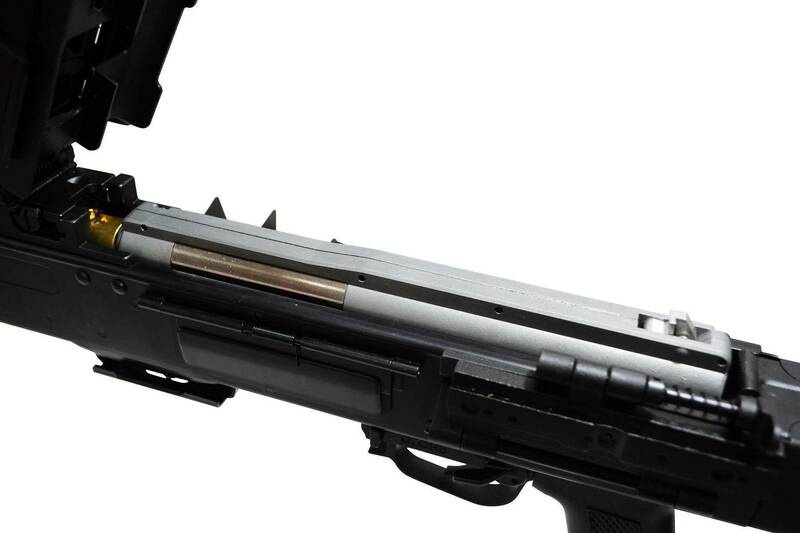 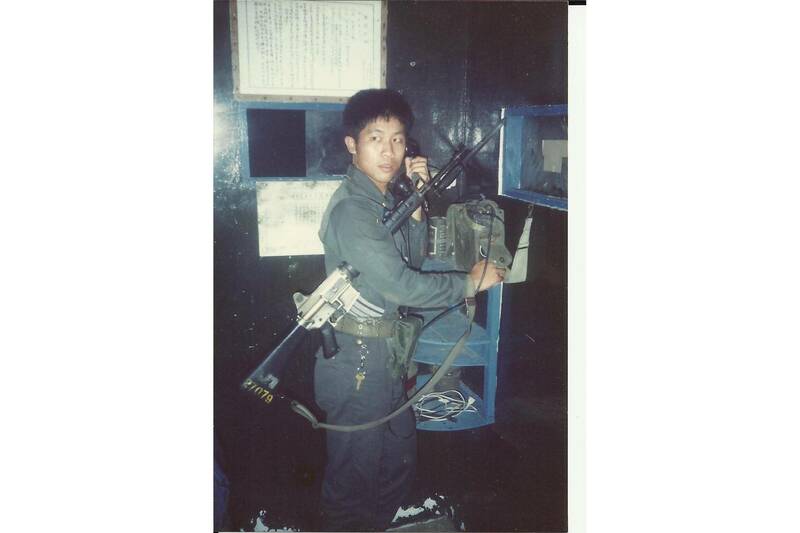 The S&T SMG fits with 3rd generation gearbox, and it’s an ideal weapon for survival game…. 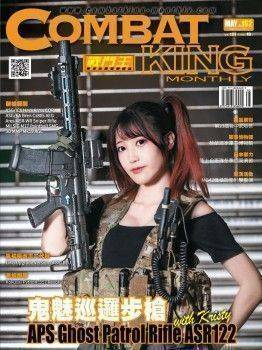 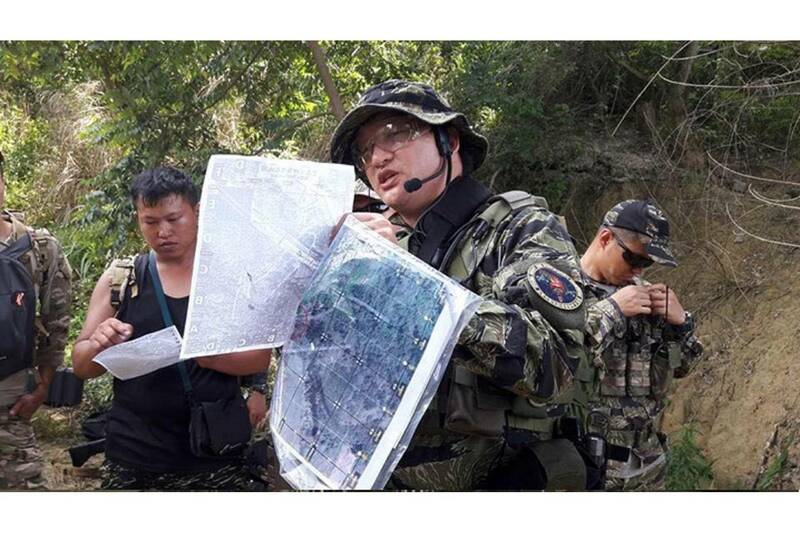 自從實銃界的CAA推出了將手槍變身為衝鋒槍的套件後，許多類似套件如雨後春筍般出現，但部份產品是采實銃規格，跟玩具槍的尺寸不合，售價也不甚親民，於是紅星(RST)便開發出獵戶座改裝套件，不但通用各廠Glock17/18手槍，現在更加碼推出具BB彈夜間發光器的二代版本，勢必再造一波改套熱潮… Ever since CAA launched the modify kit which can change pistol into SMG, many similar kits appear in the market. 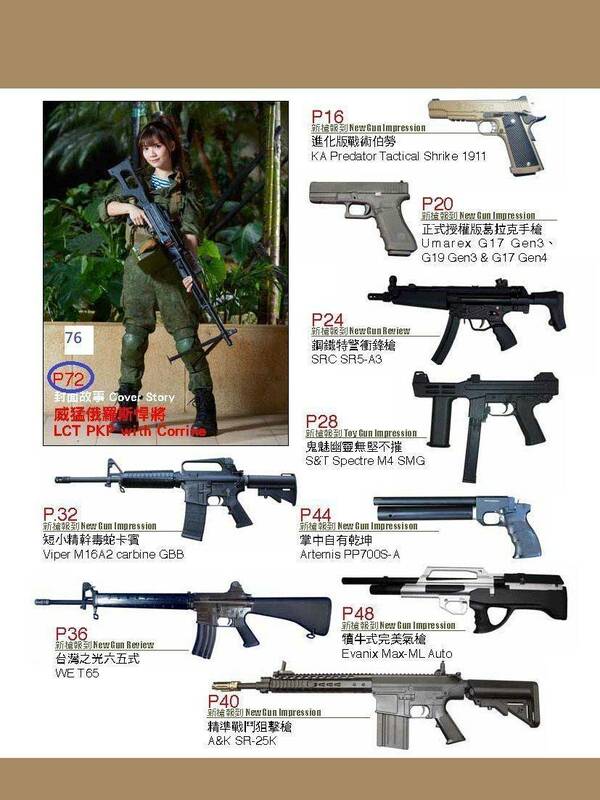 But, some of them are designed for real pistol, which doesn’t fit for airsoft pistol. 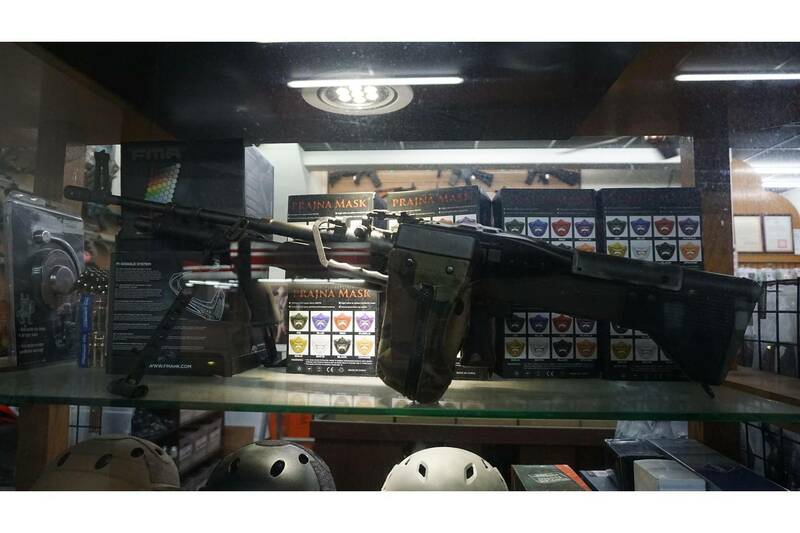 The price is also quite expensive. 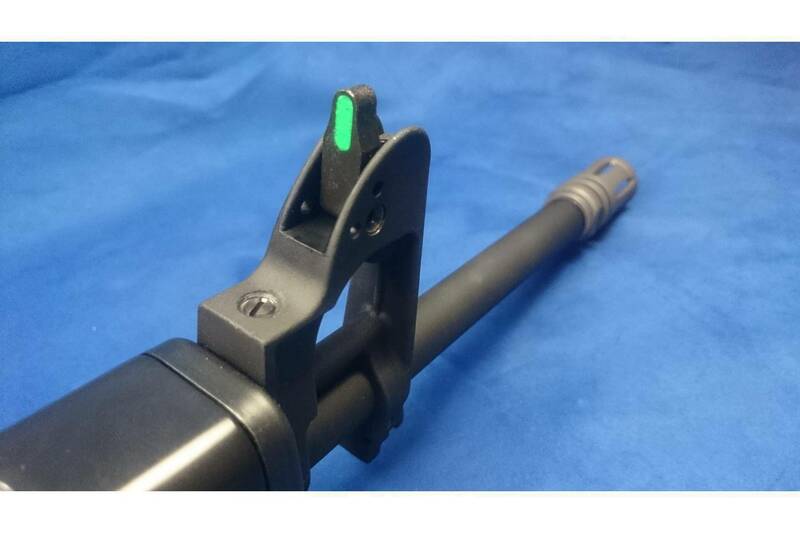 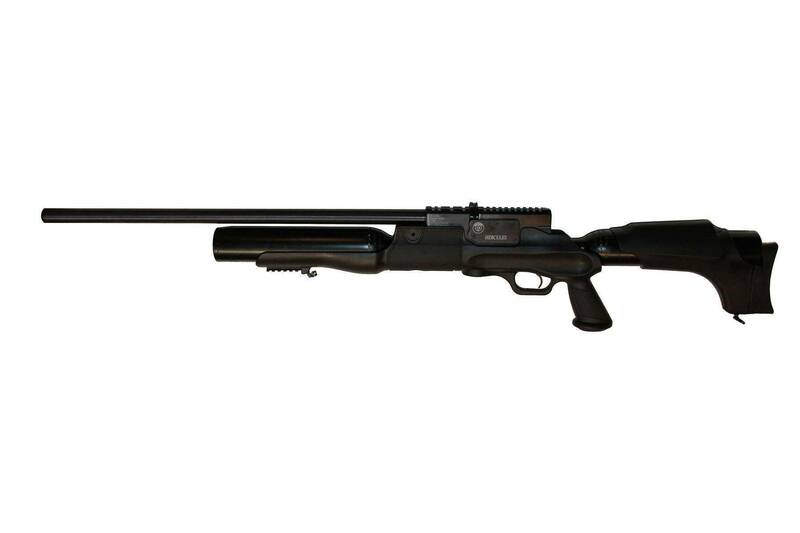 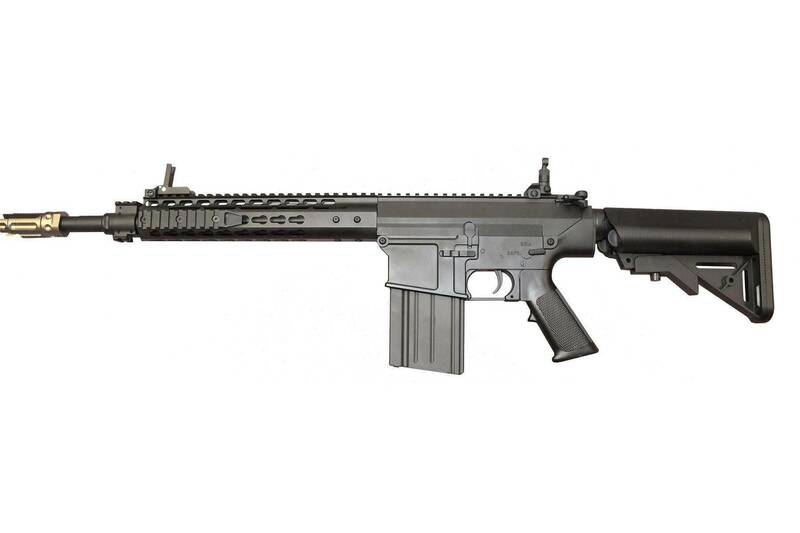 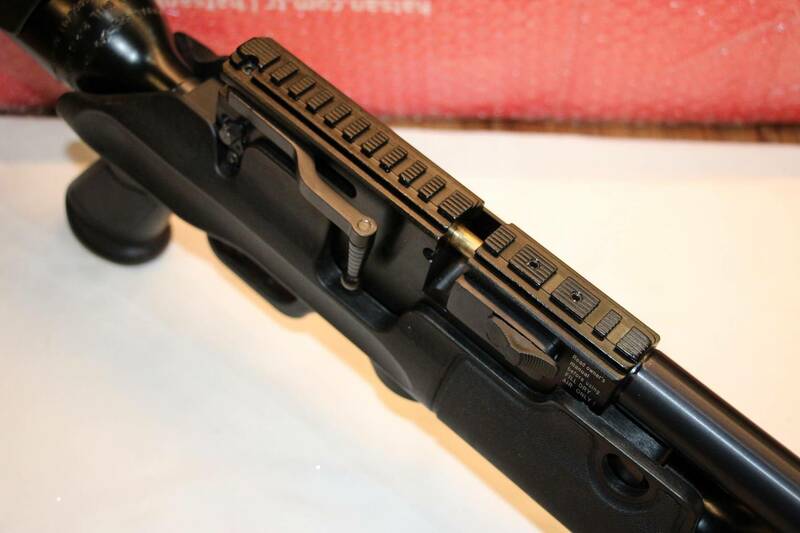 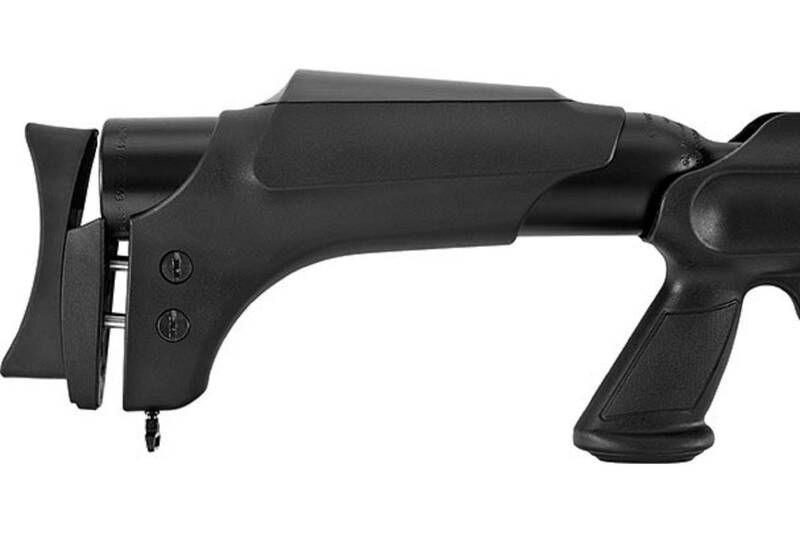 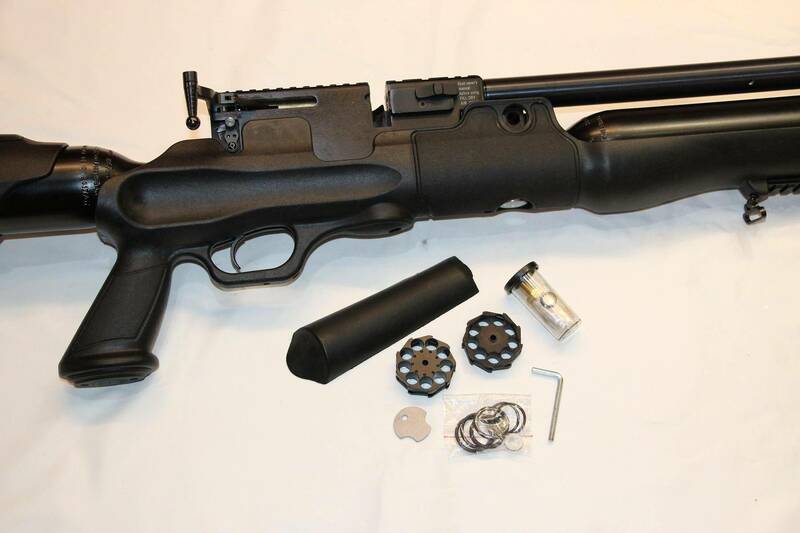 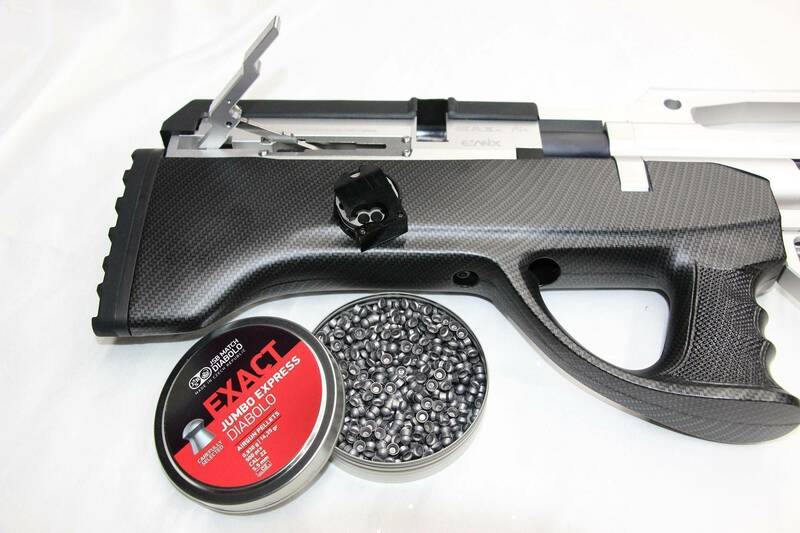 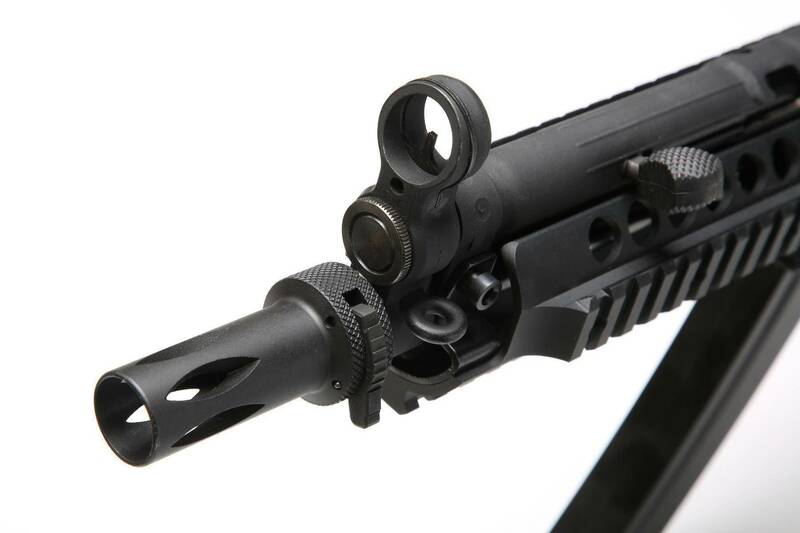 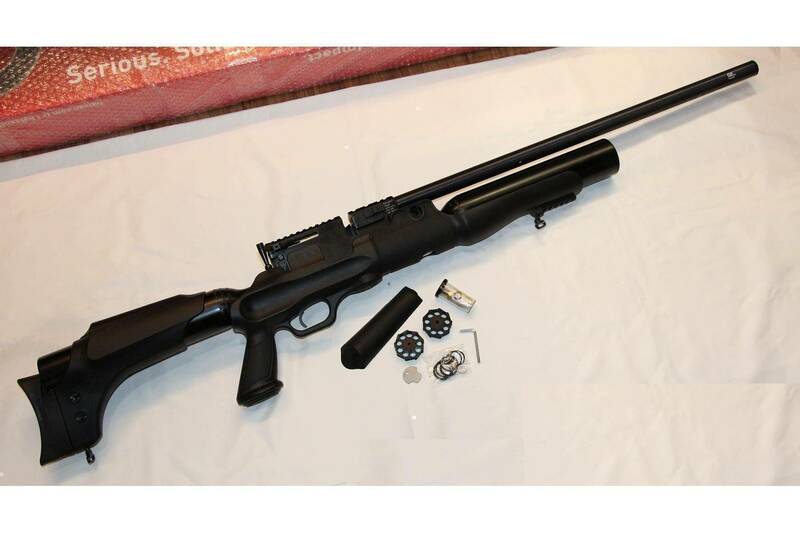 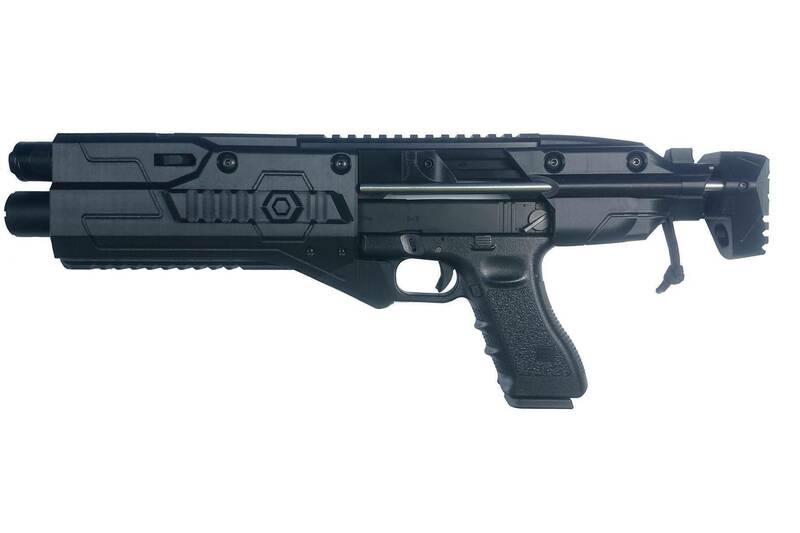 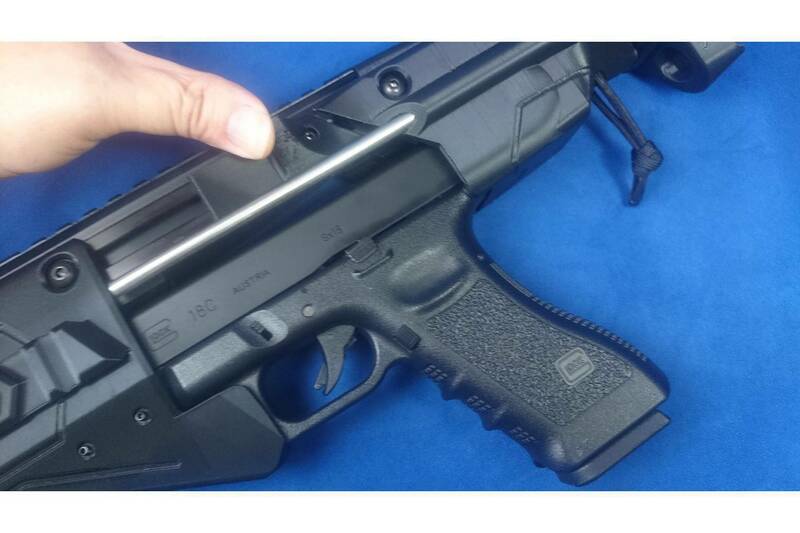 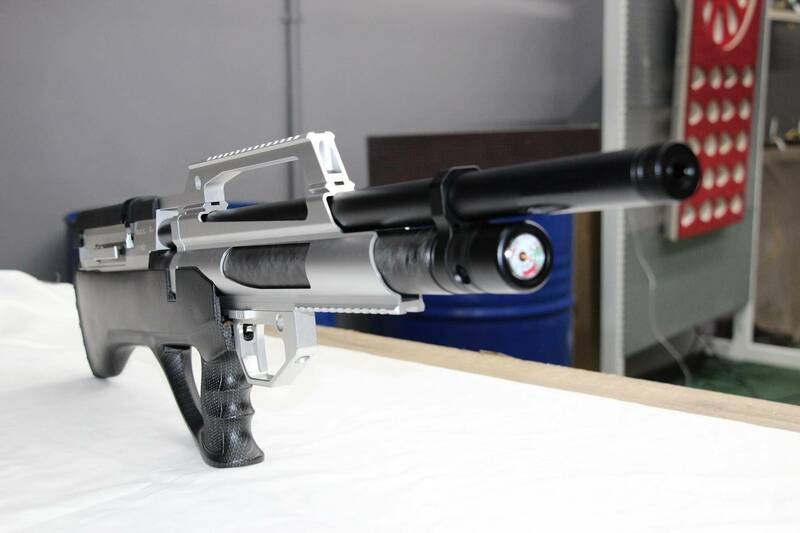 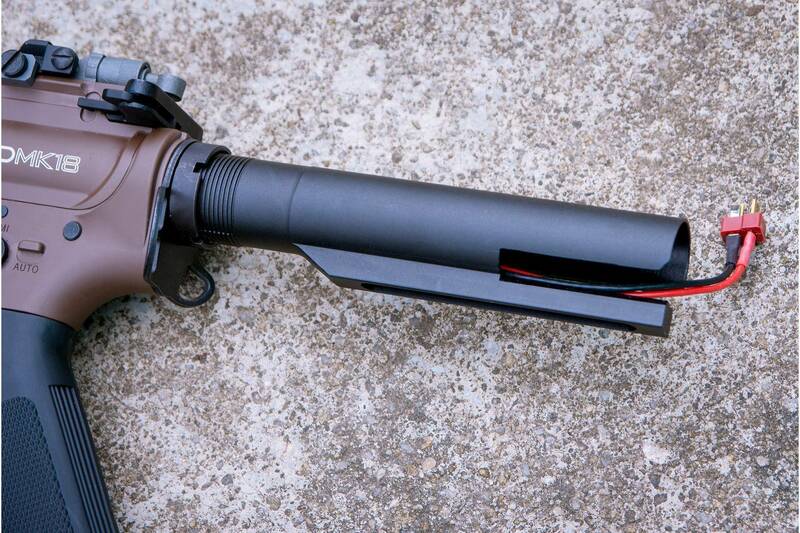 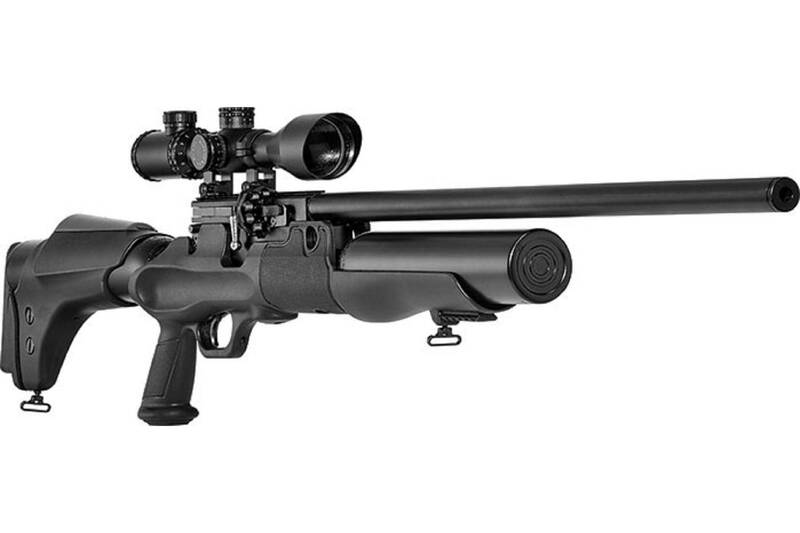 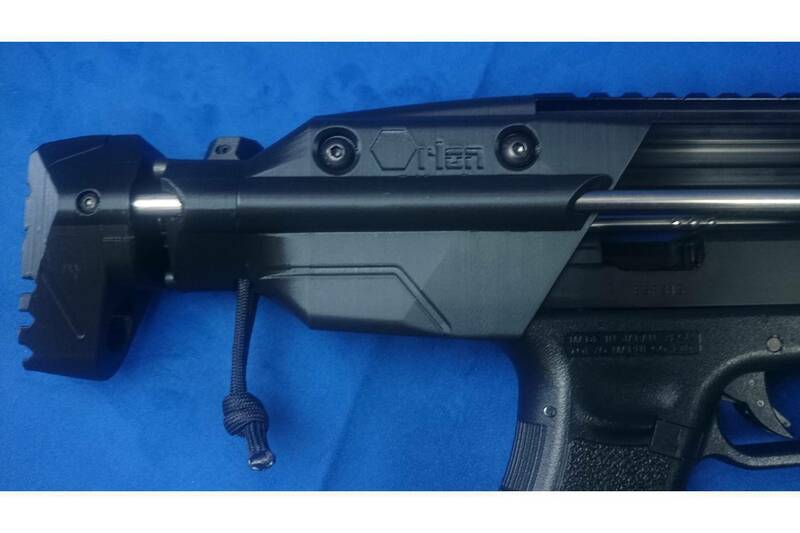 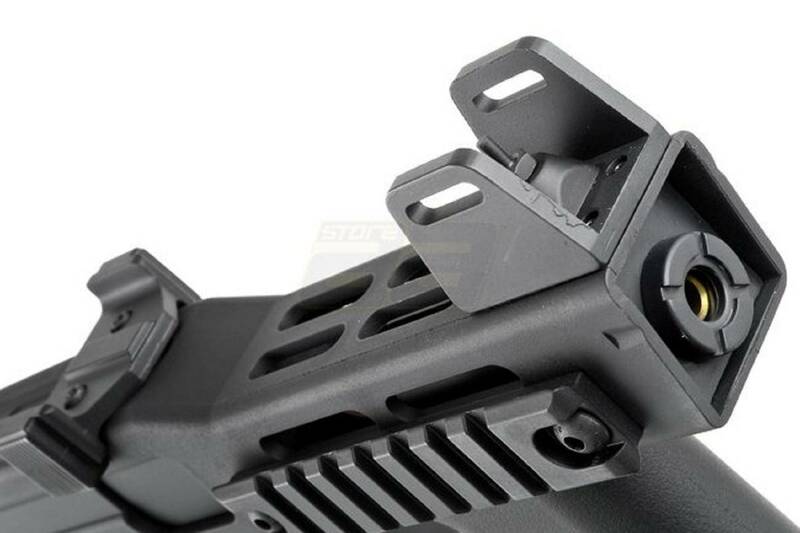 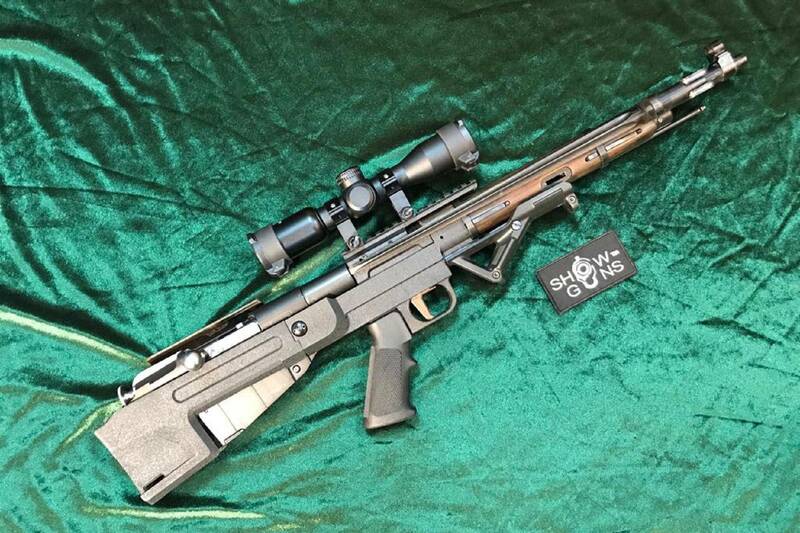 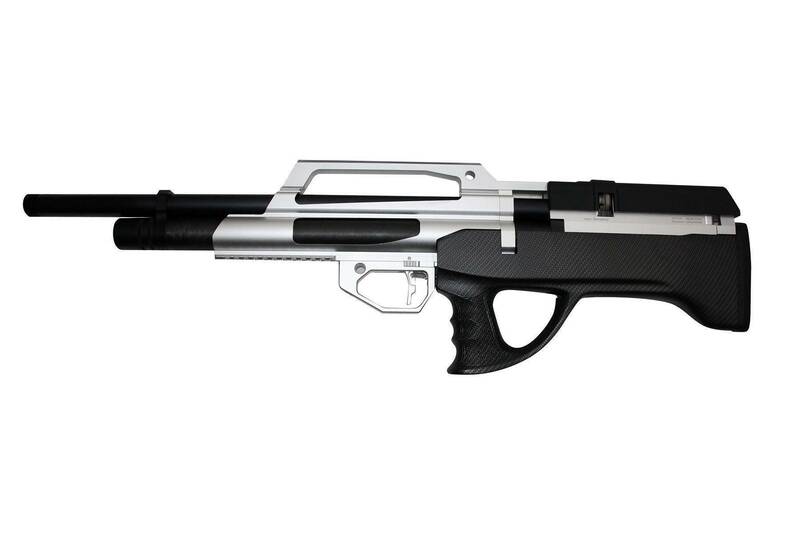 Due to these reasons, RST developed the Orion Pro SMG Kit. 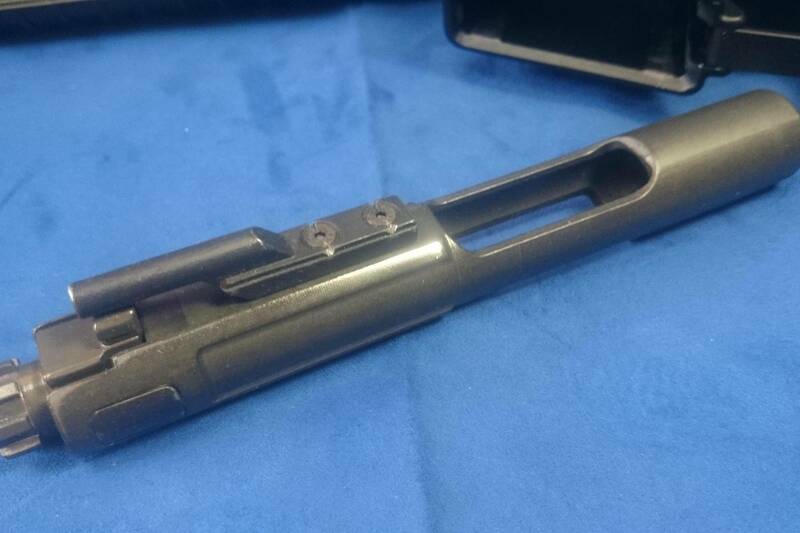 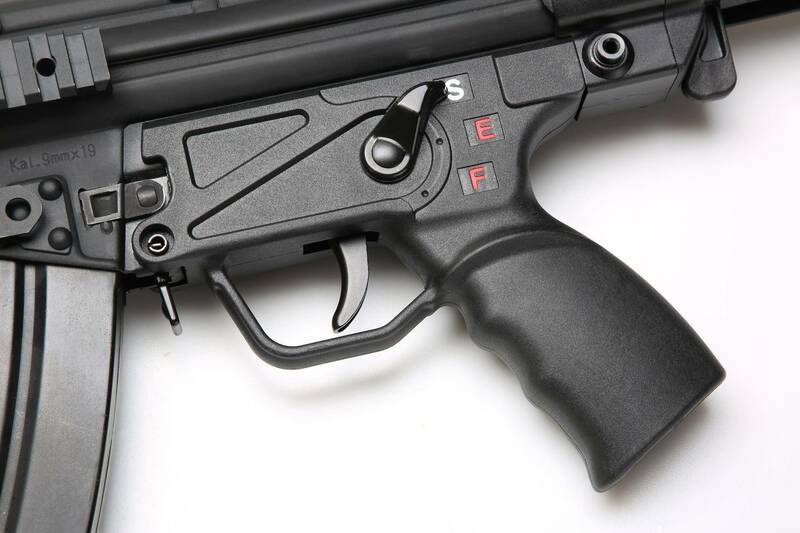 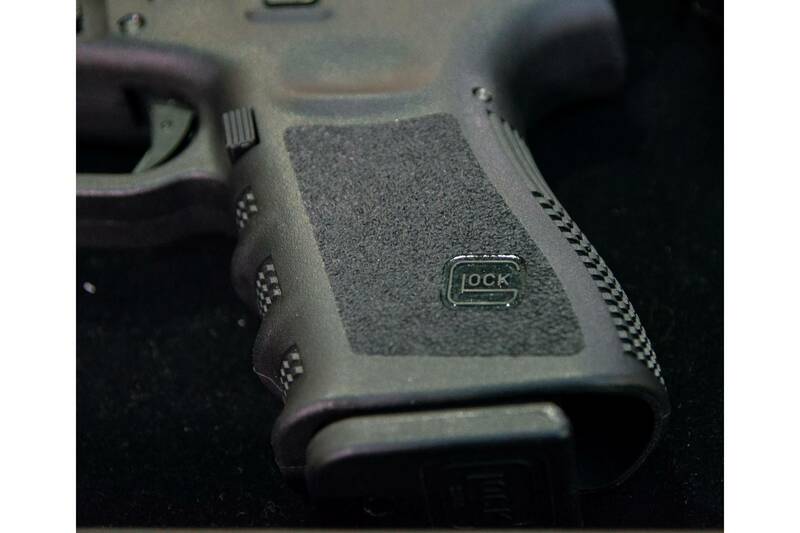 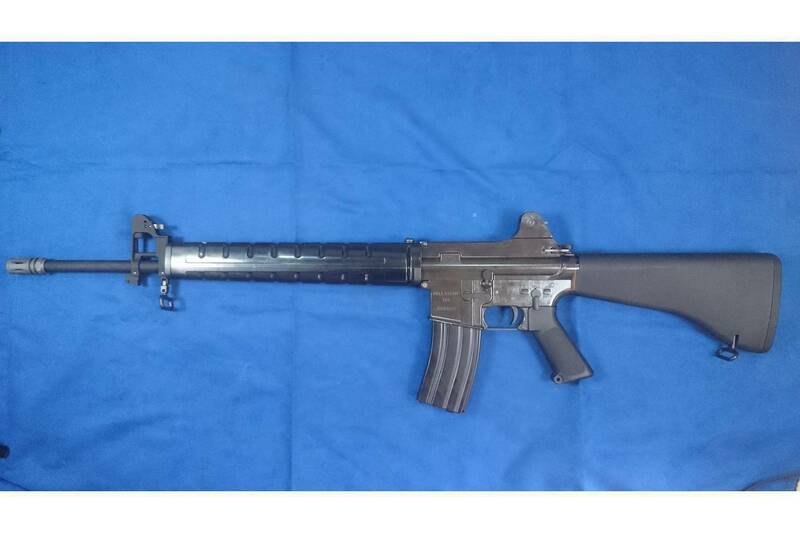 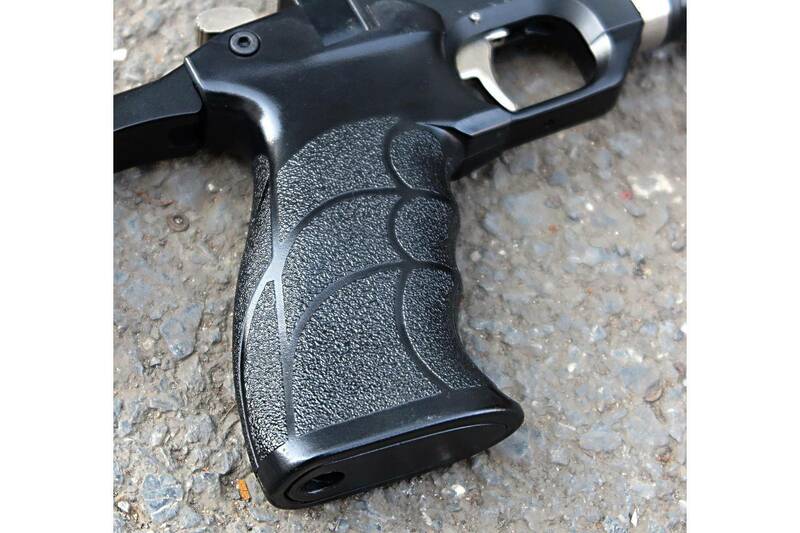 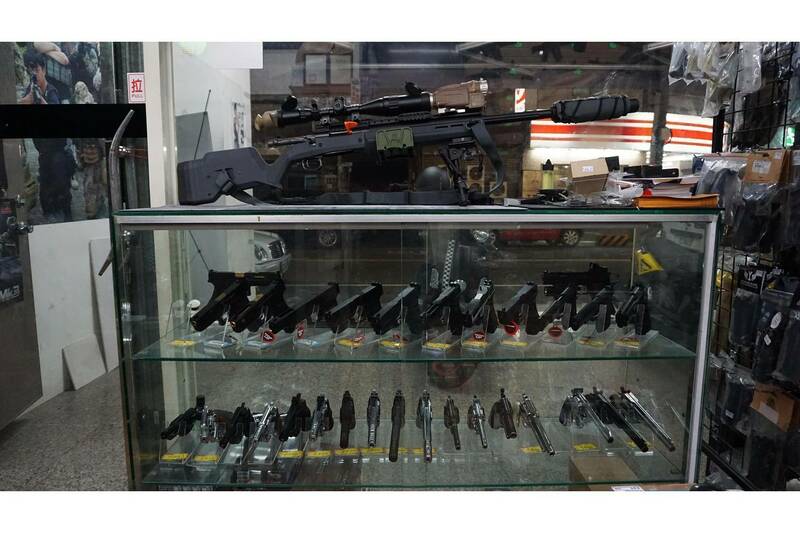 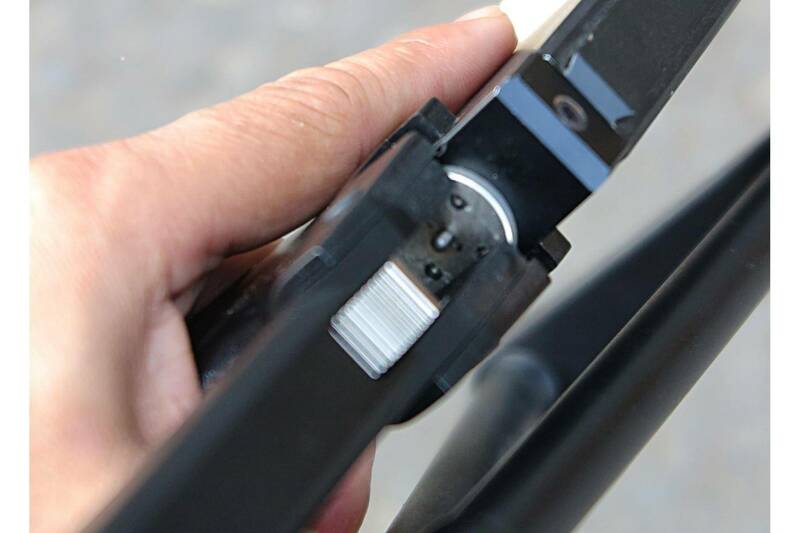 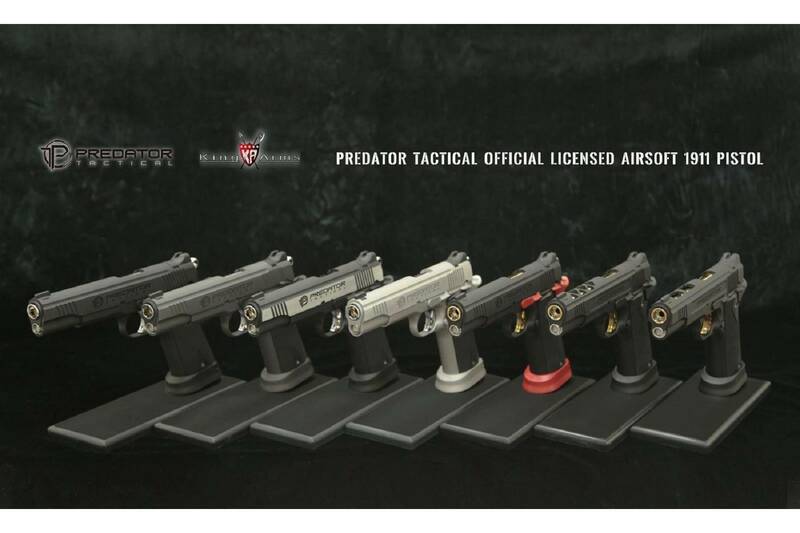 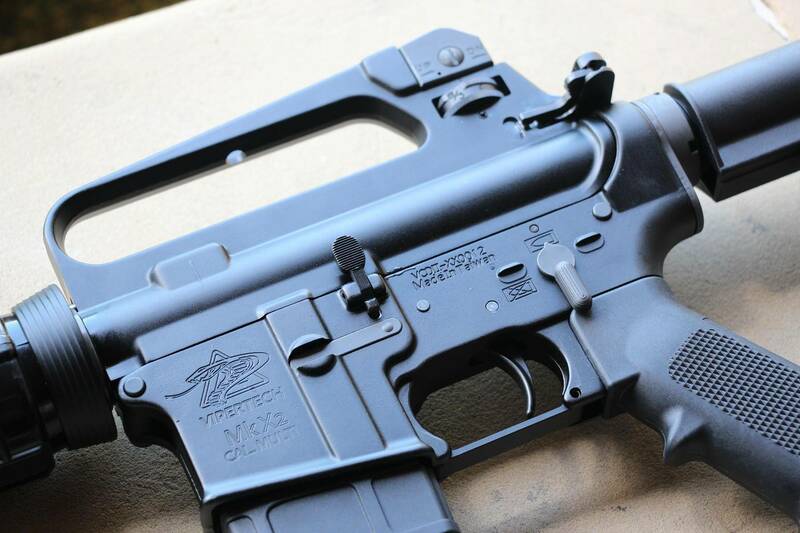 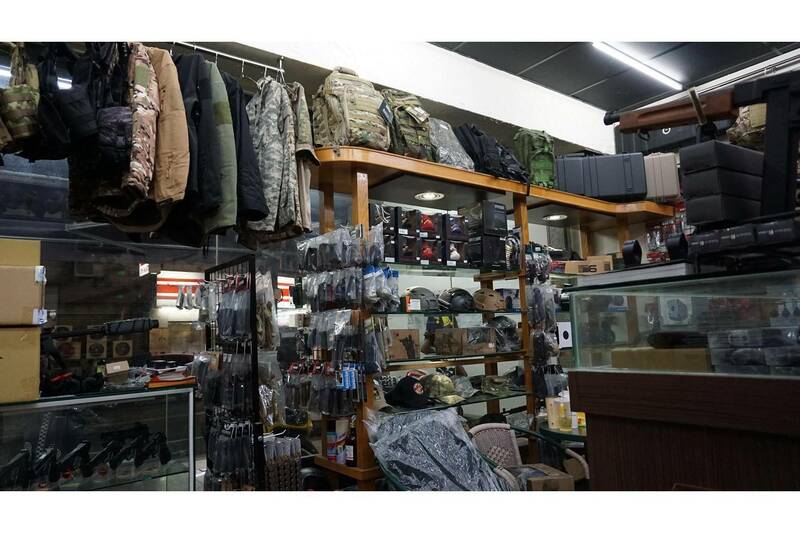 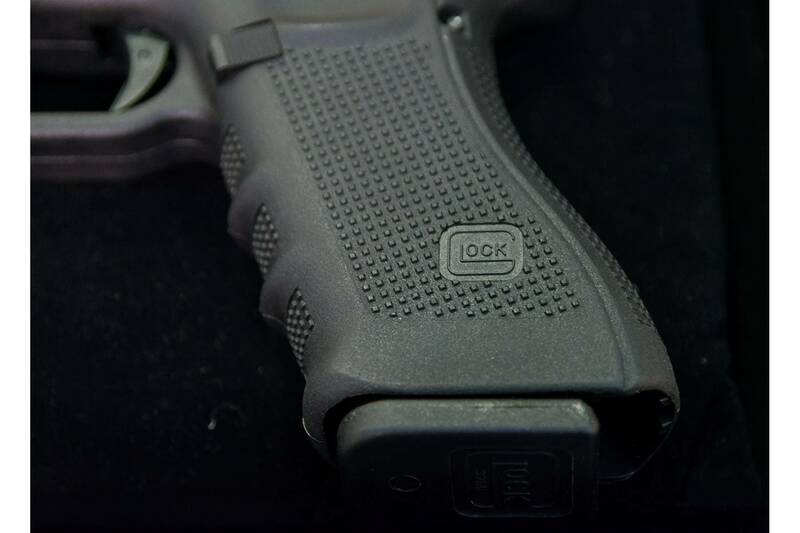 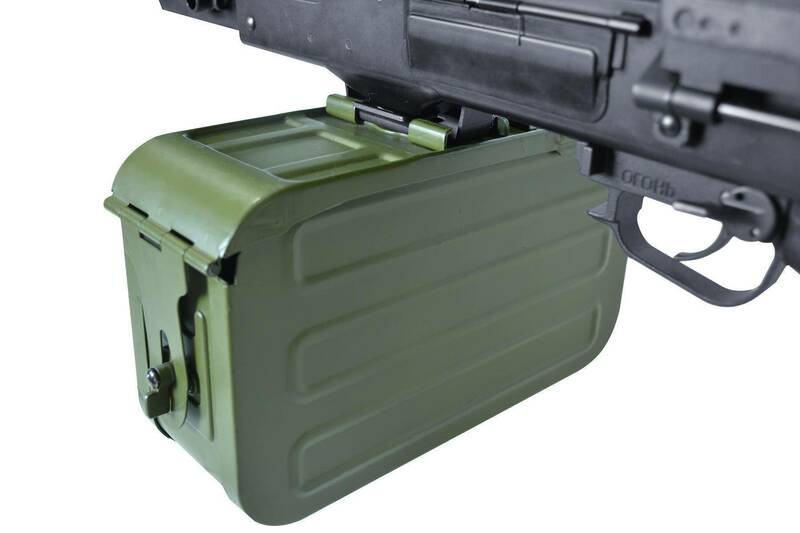 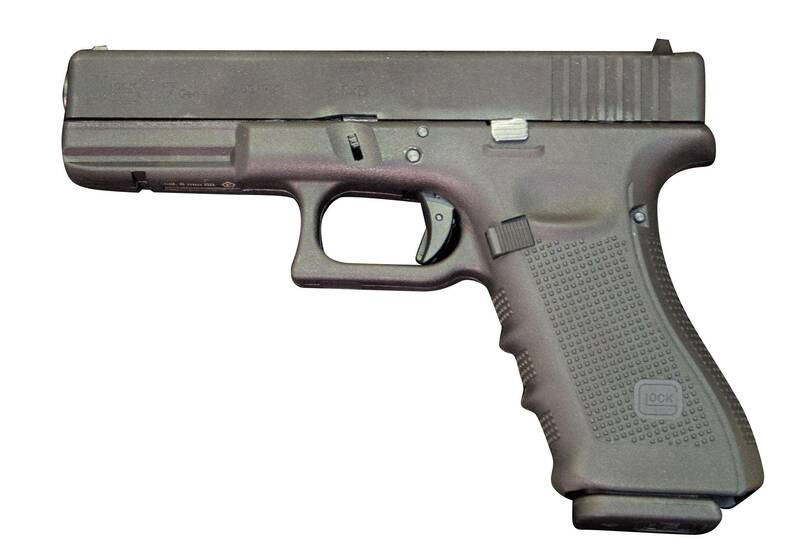 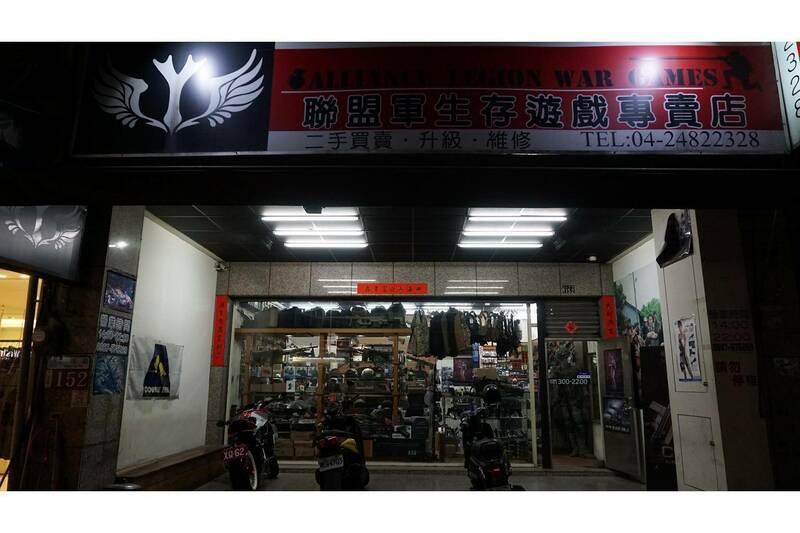 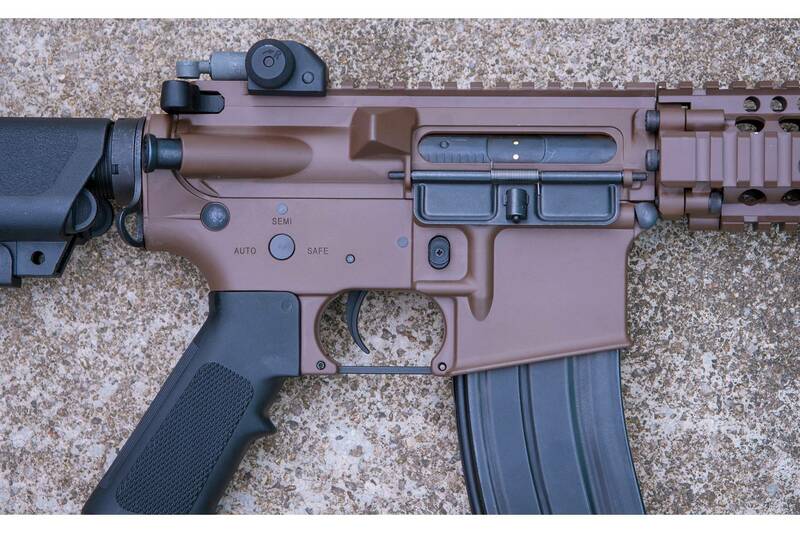 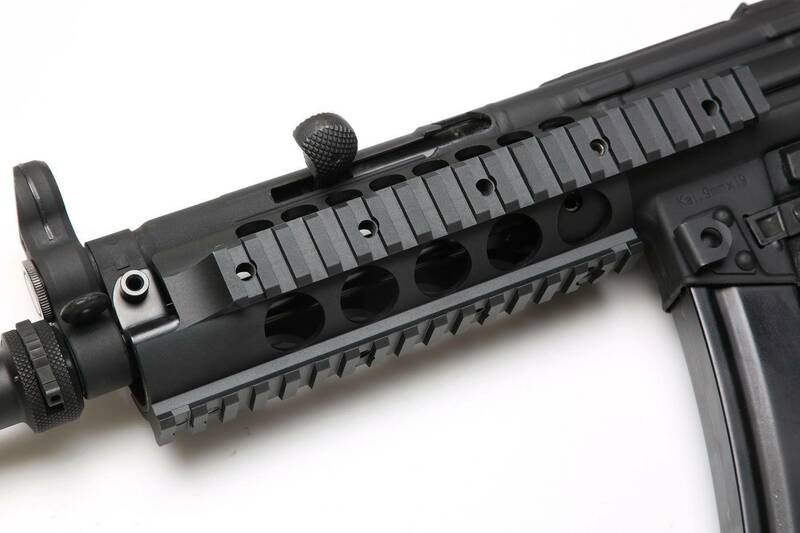 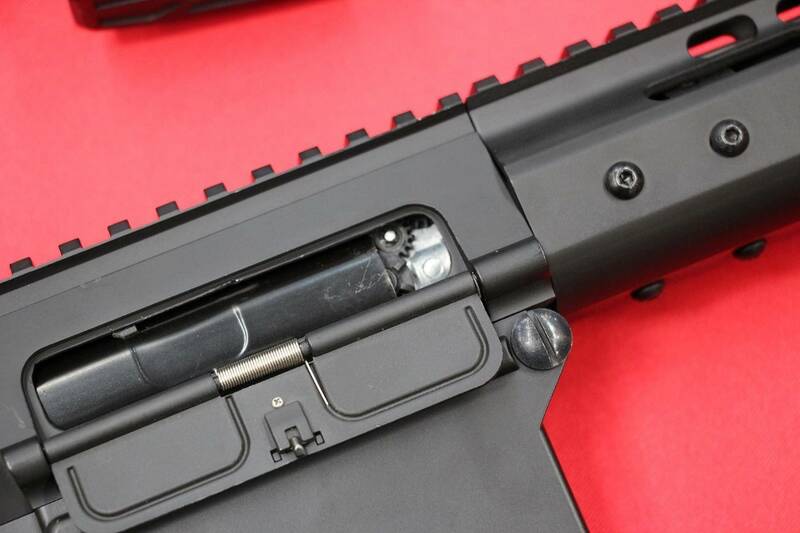 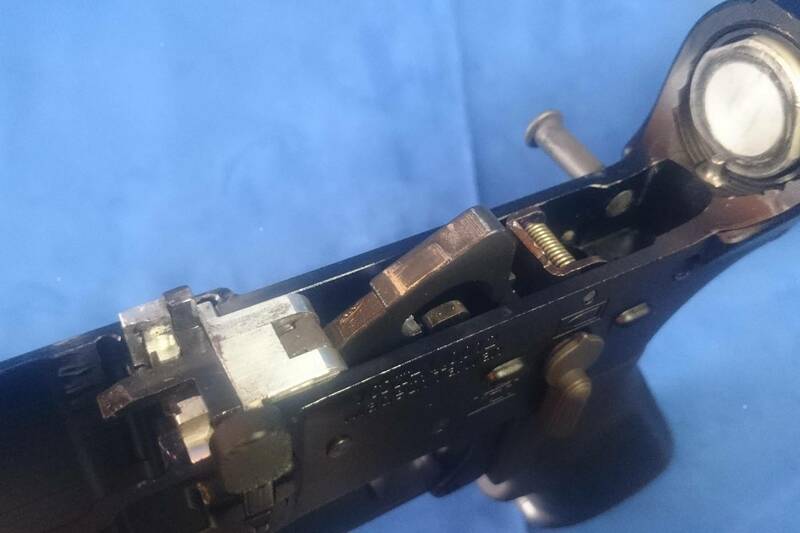 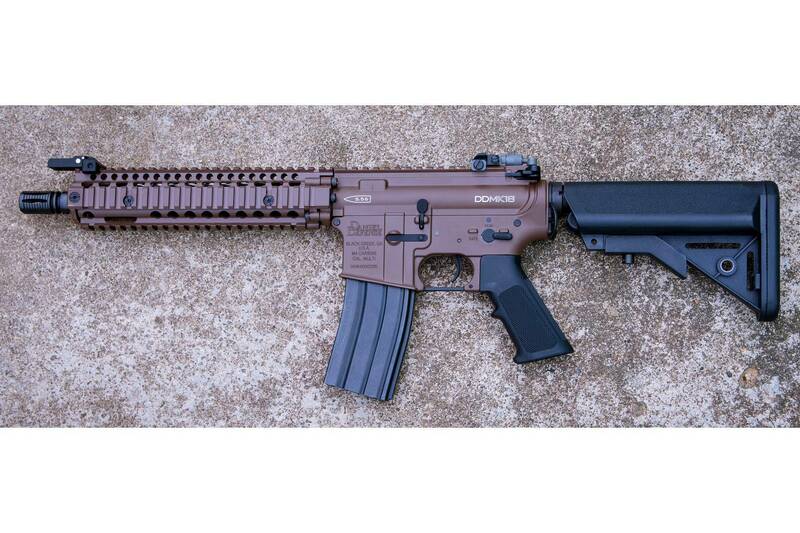 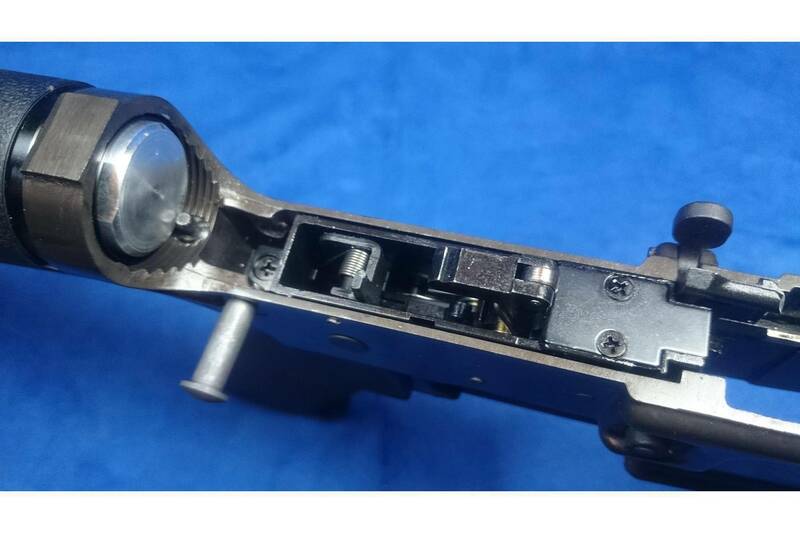 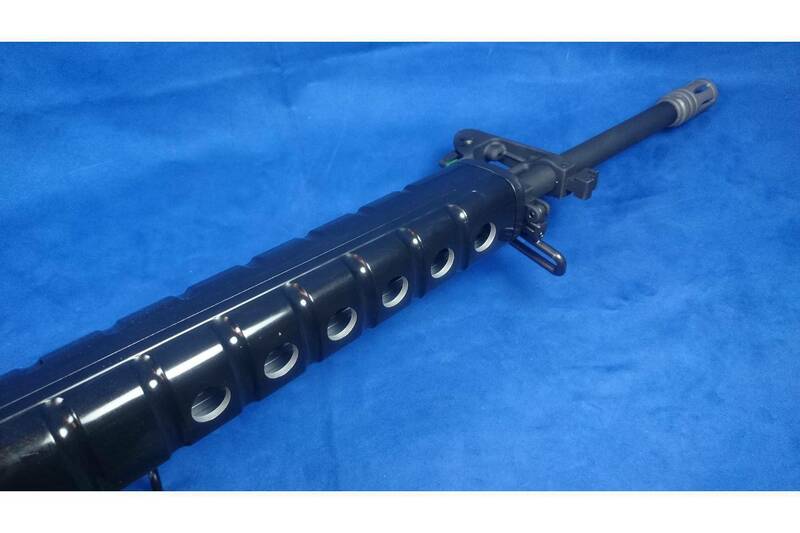 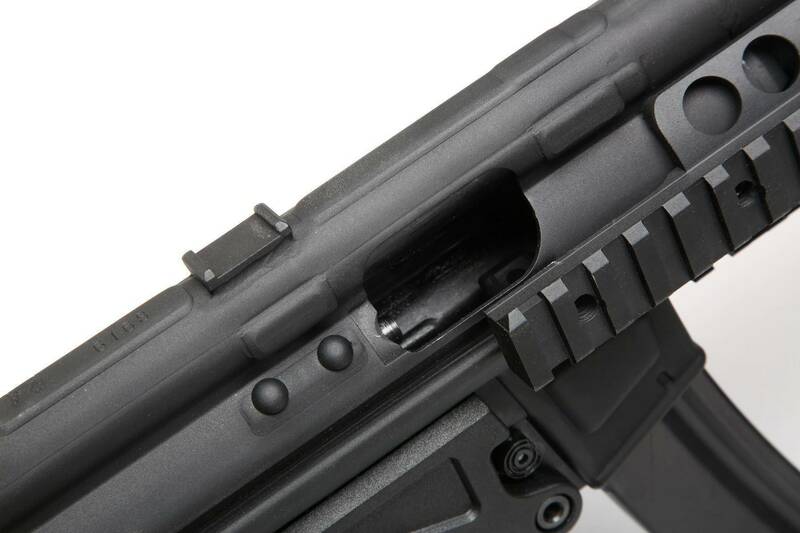 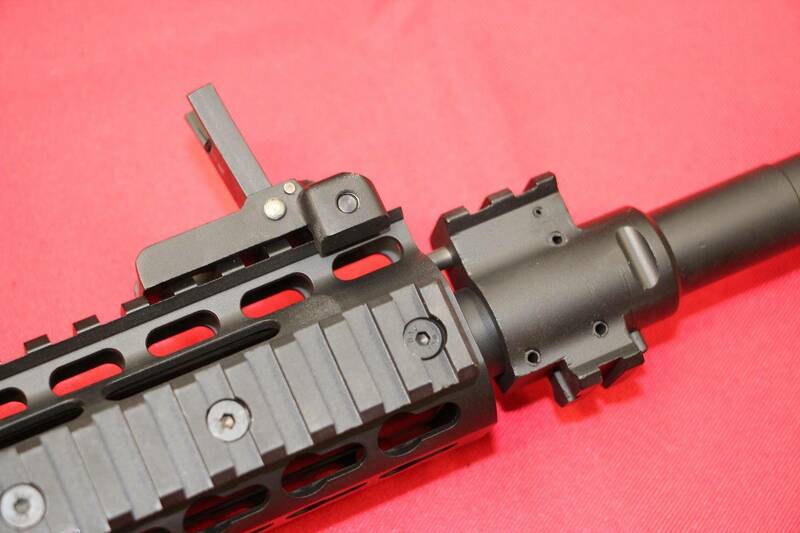 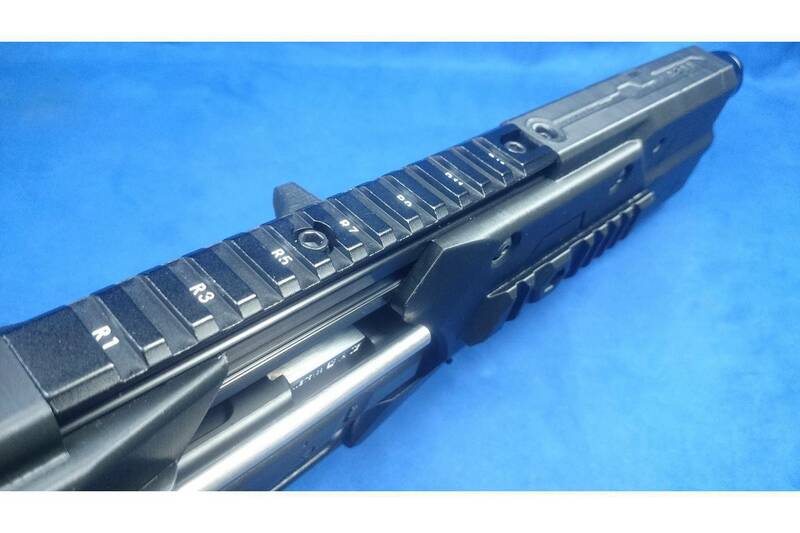 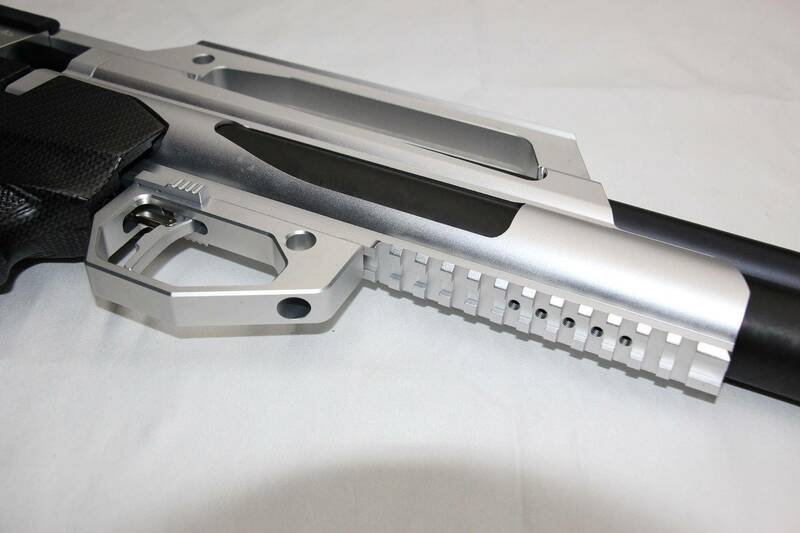 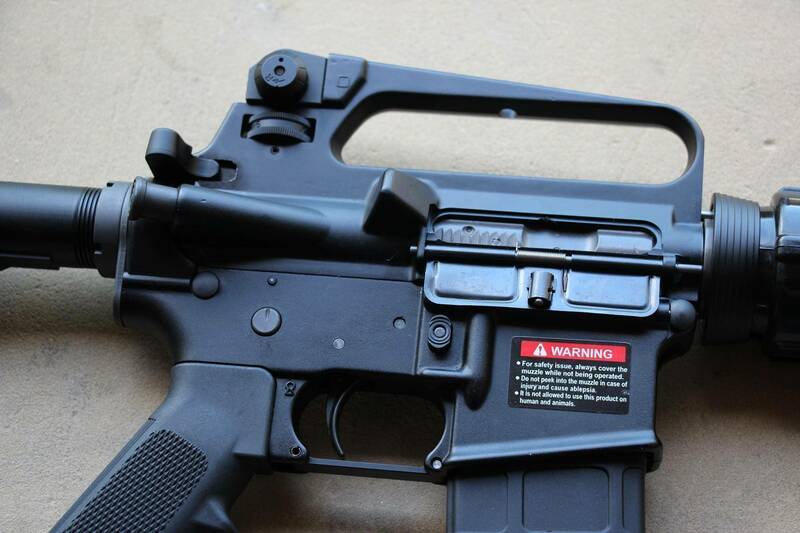 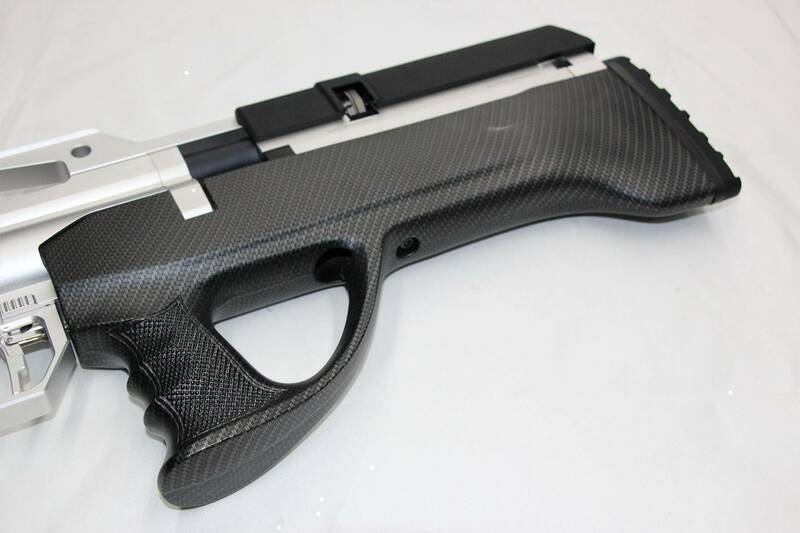 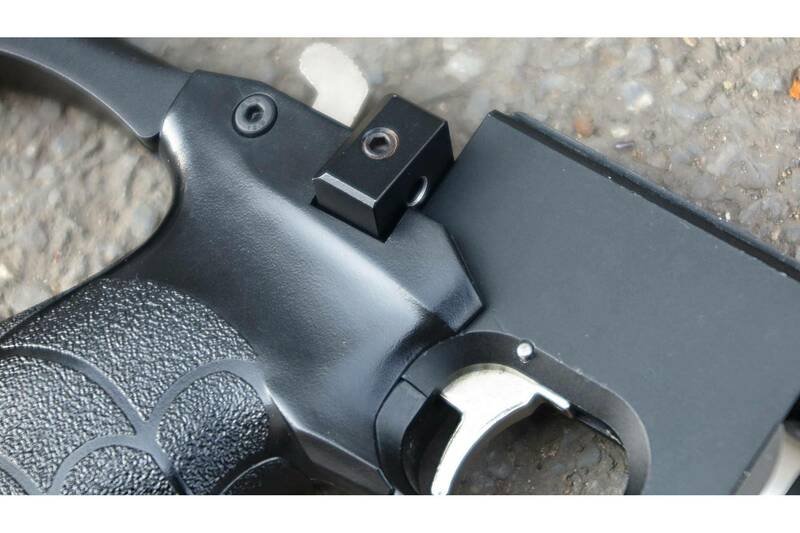 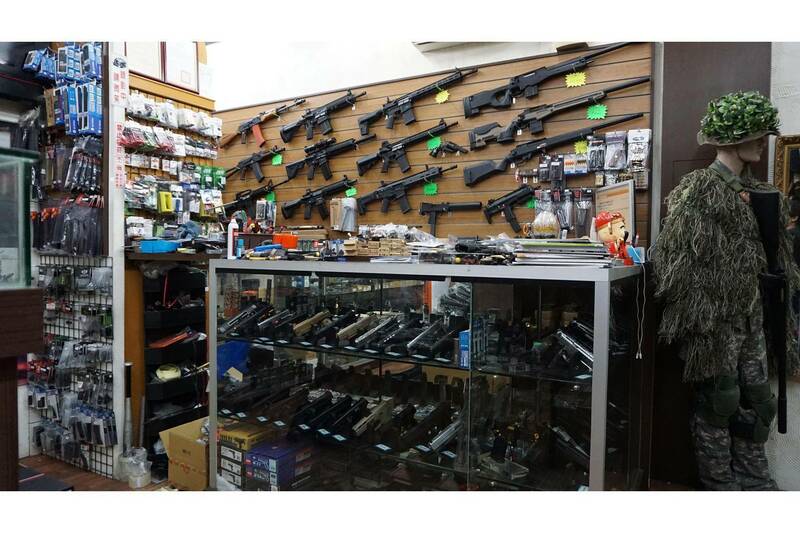 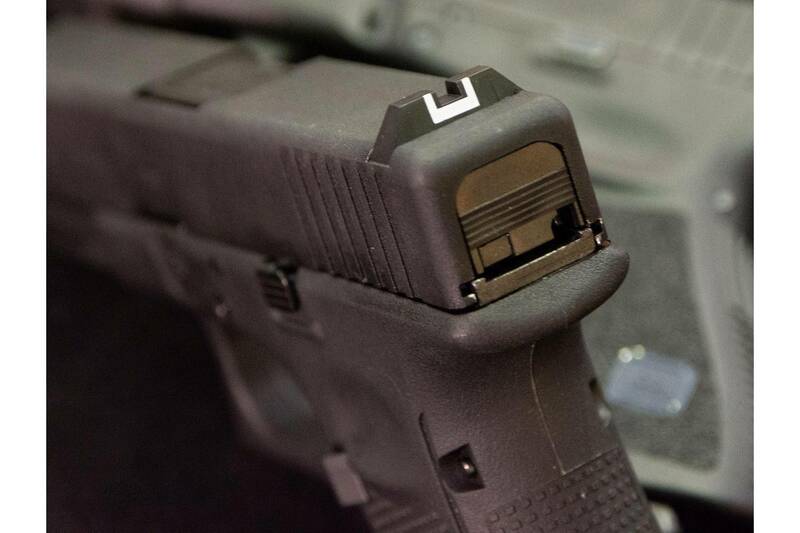 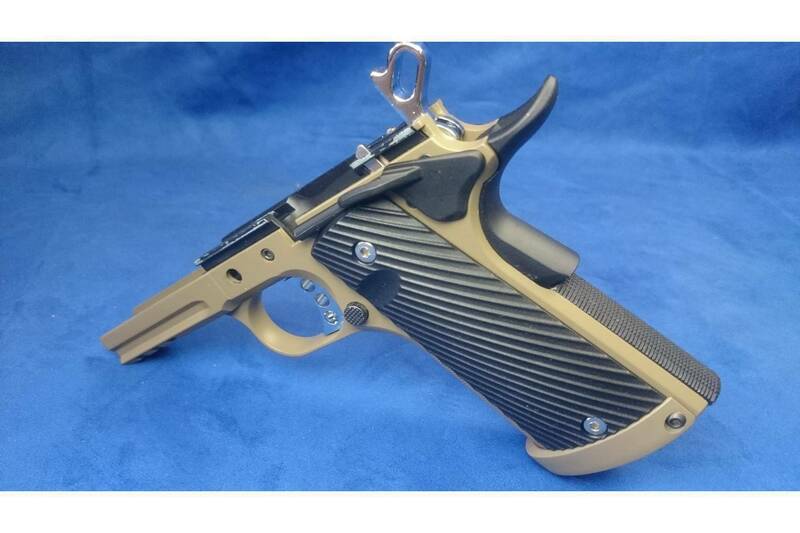 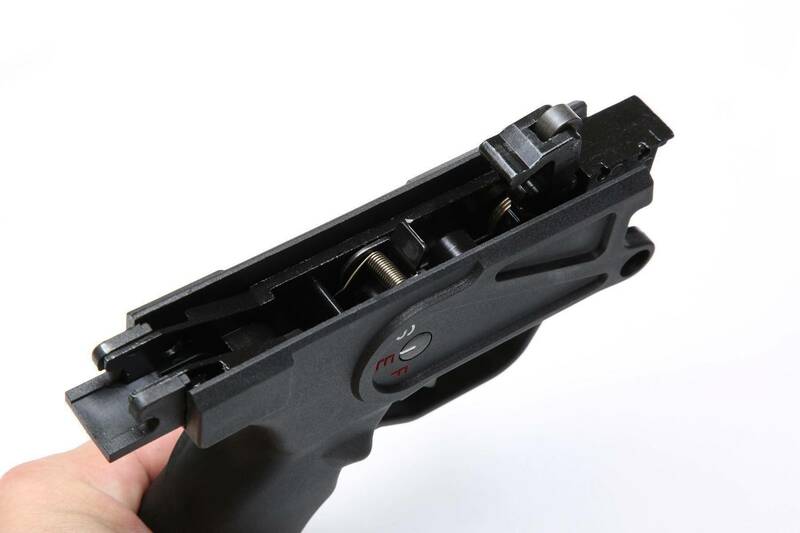 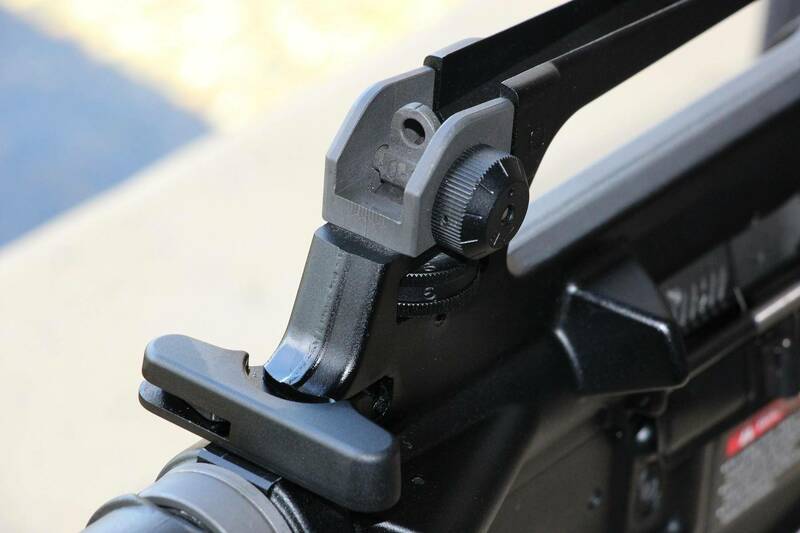 It’s suitable for G lock17/18 pistols which are made by airsoft players…. 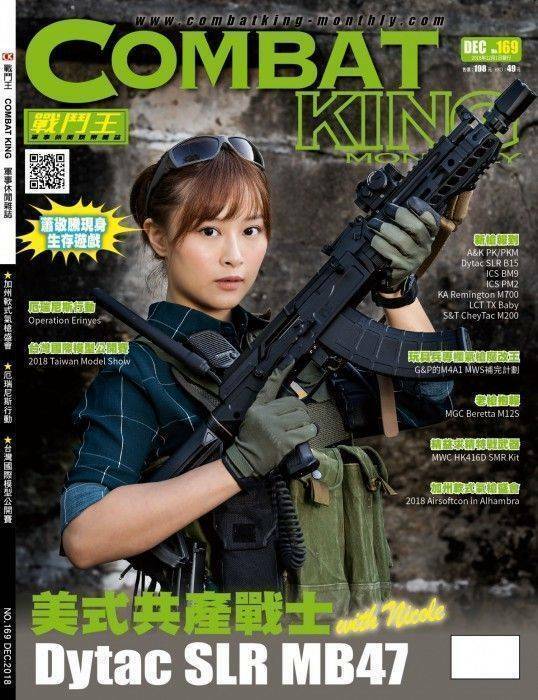 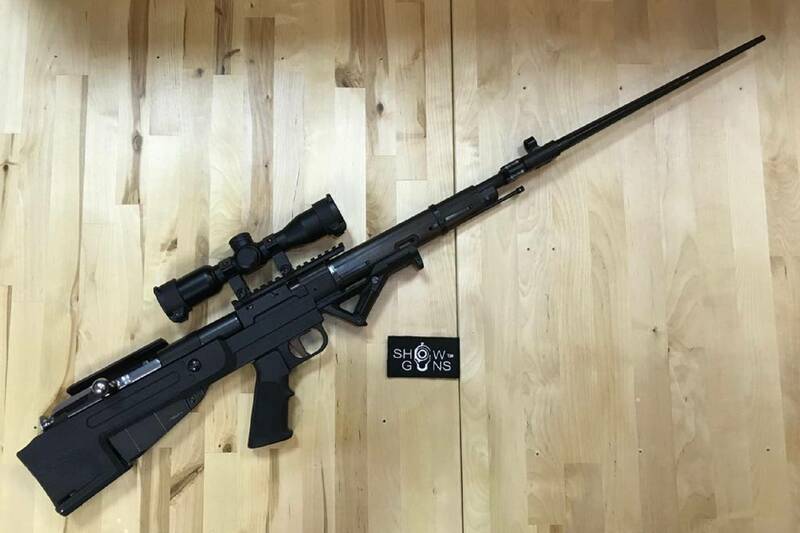 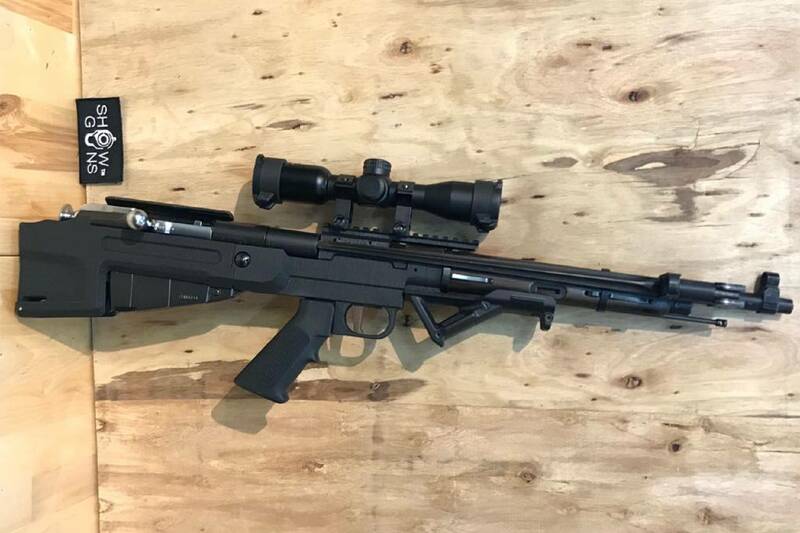 在今年初的拉斯維加斯SHOT Show，伊伐克製造集團(EMG)率同香港秋星實業(G&P)與RlW工坊，連袂造訪丹尼爾防衛(DD)的攤位，並討論新版Mk18的製作事宜，未料在場的DD公司高層當場將G&P Mk18與實銃相比，結果對RIW以Cerakote在G&P Mk18上噴塗與實銃完全無色差的技巧大感佩服，當埸核准G&P DD Mk18 Mod0/1的量產… EMG, G&P and RIW visited Daniel Defense’s booth at SHOT Show in this January. 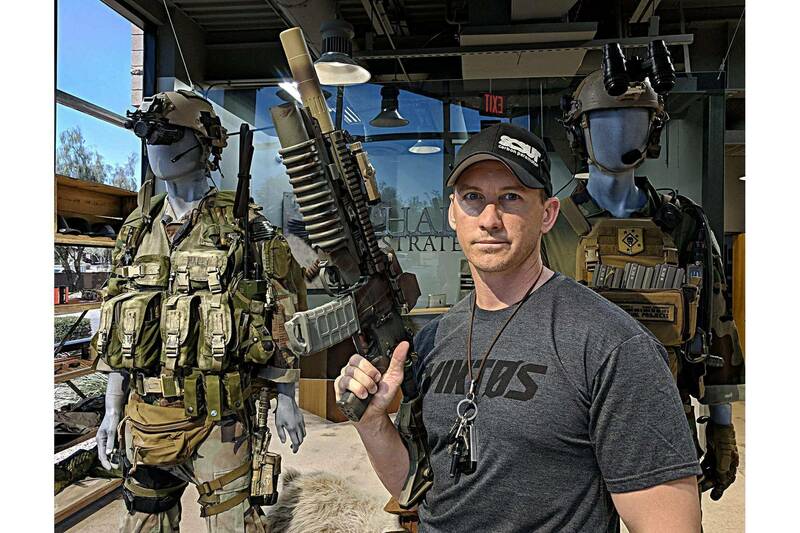 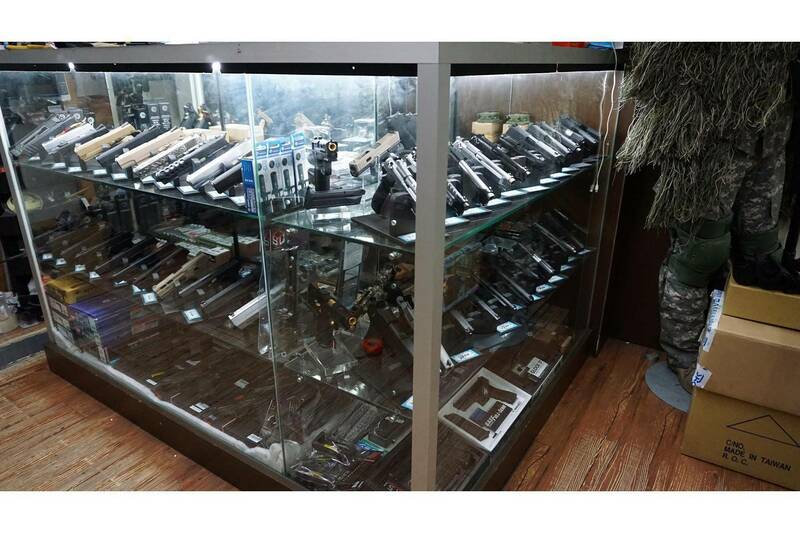 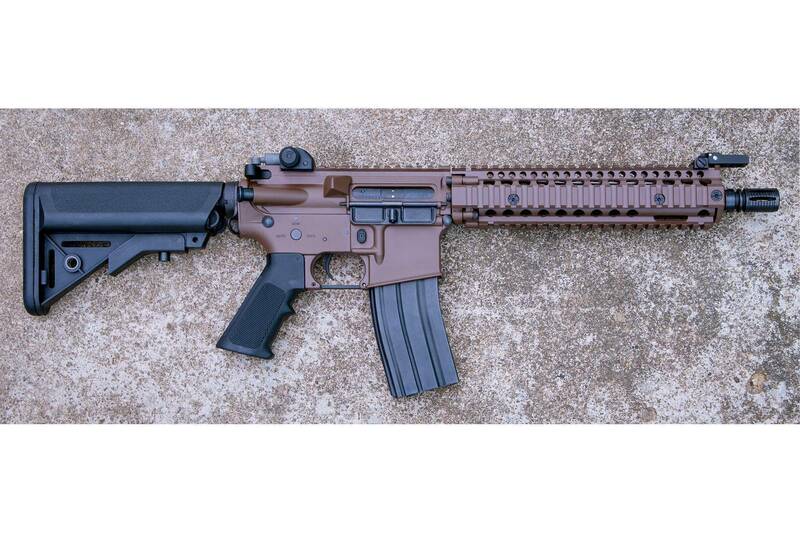 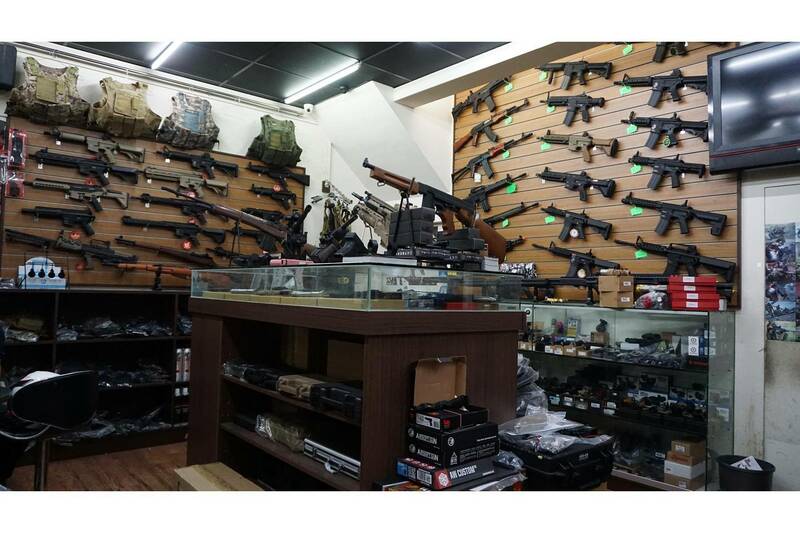 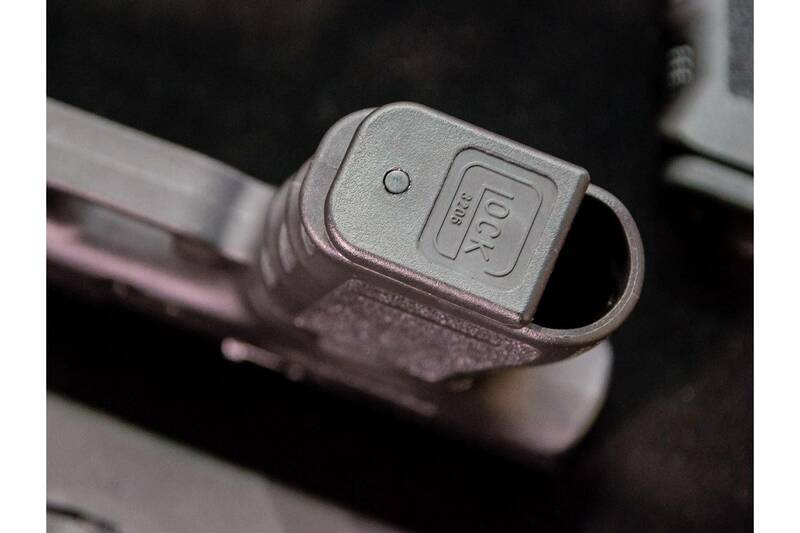 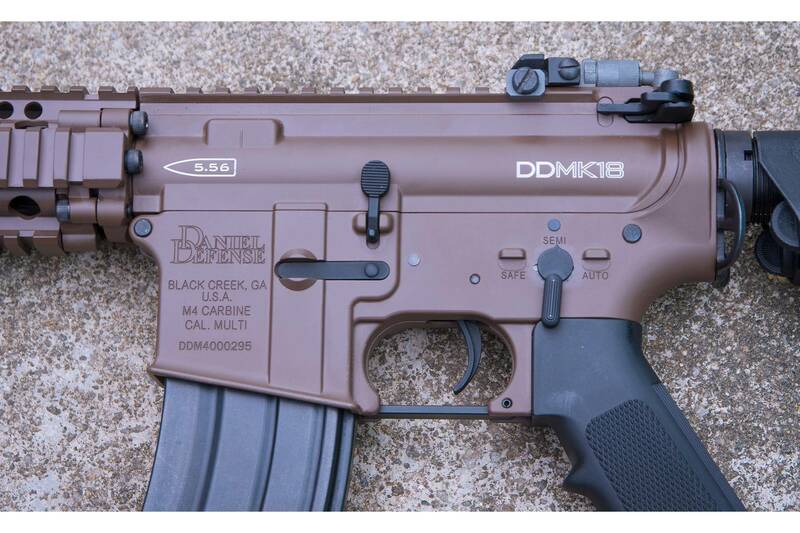 During the visit, the CEO of DD was very impressed by G&P’s manufacturing capability and RIW’s painting skill of Cerakote toward G&P Mk18, and immediately approved the production project of EMG/G&P DD Mk18…. 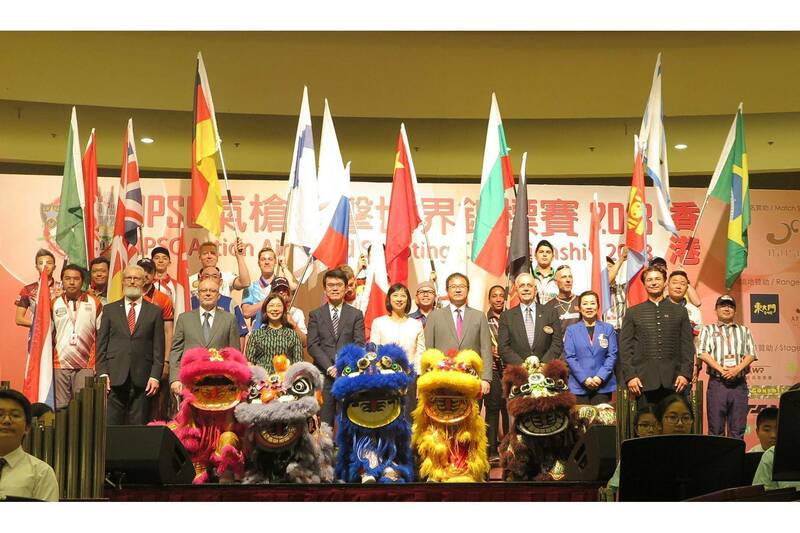 由香港實用射擊總會(HKPSA)所舉辦的「第一屆IPSC氣槍射擊世界錦標賽」，是首次在香港舉辦的世界賽，主辦單位特地將大部分比賽場地設在大眾交通方便的表演場地內舉行，以便社會大眾前往參觀，再加上來自全球共18個國家或地區射手參賽，總參加人數接近500人，實在是亞洲實用射擊界的一大盛會… Hong Kong Action Air World Shoot 1st was organized by HKPSA. 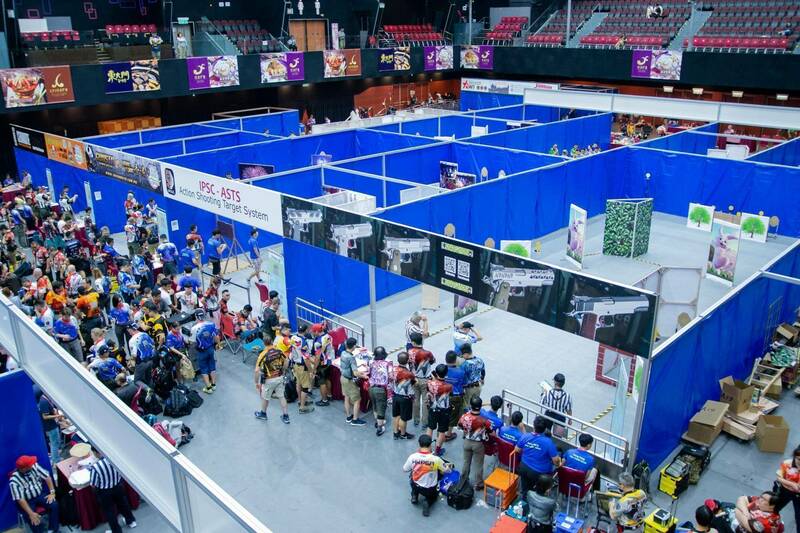 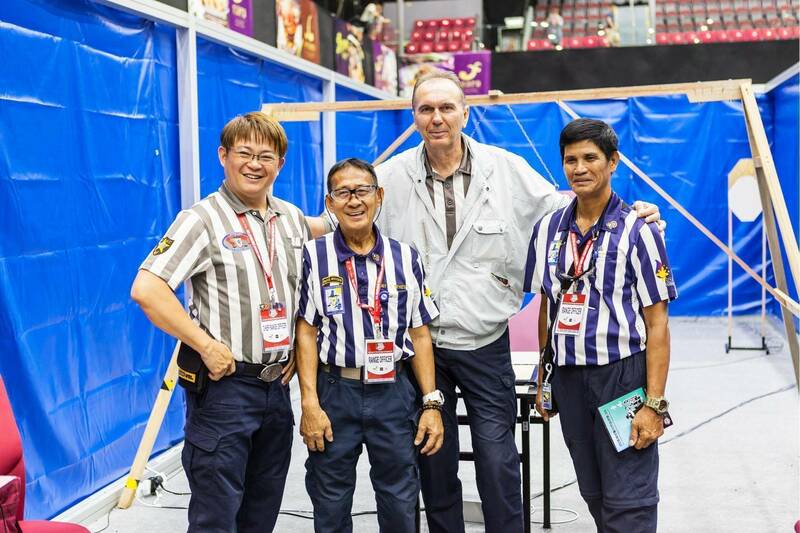 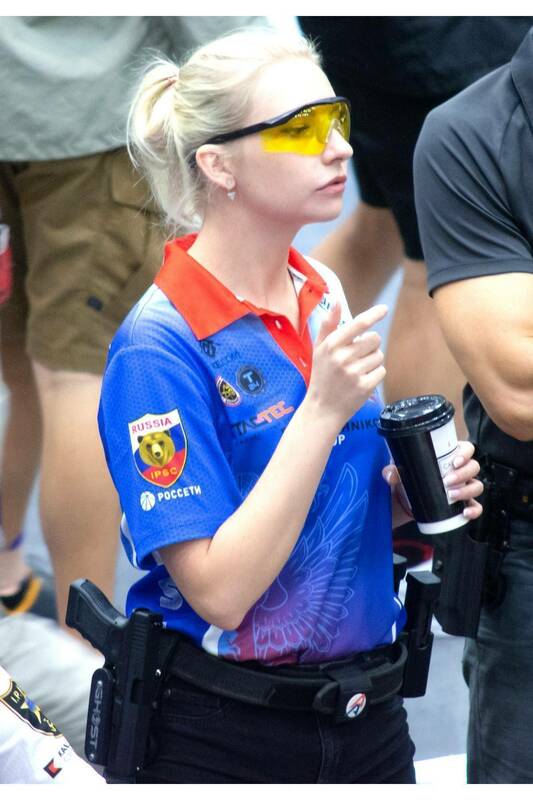 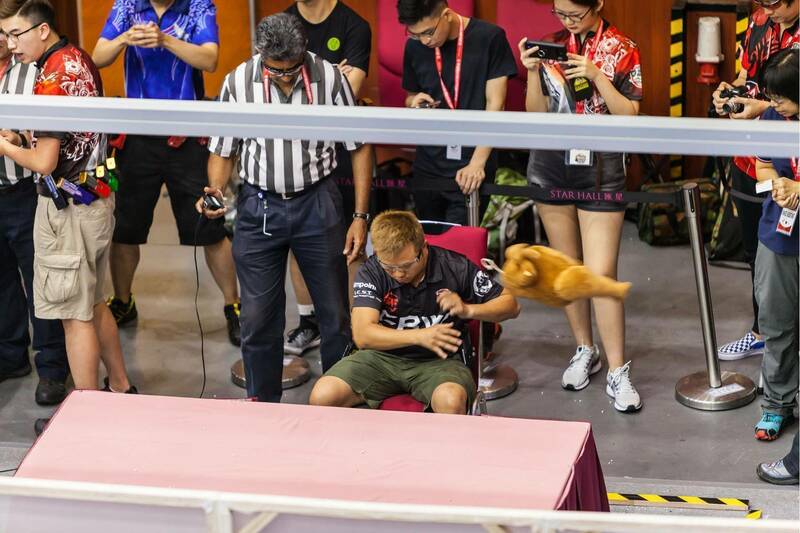 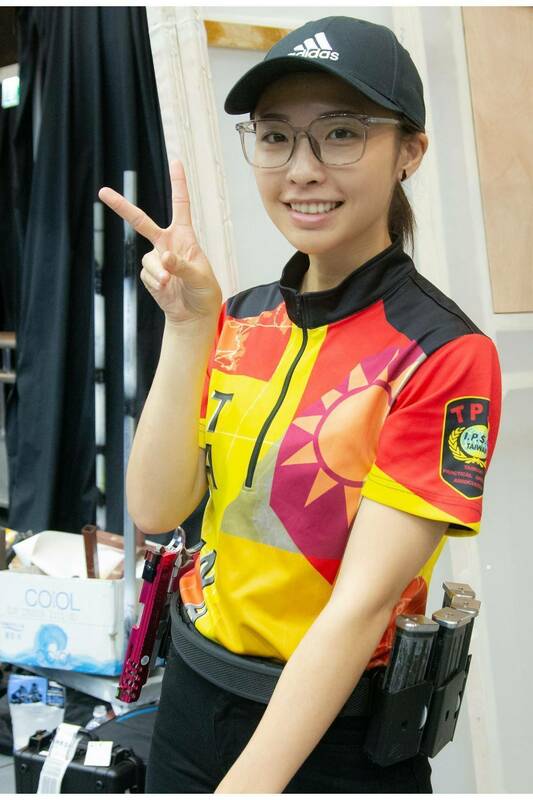 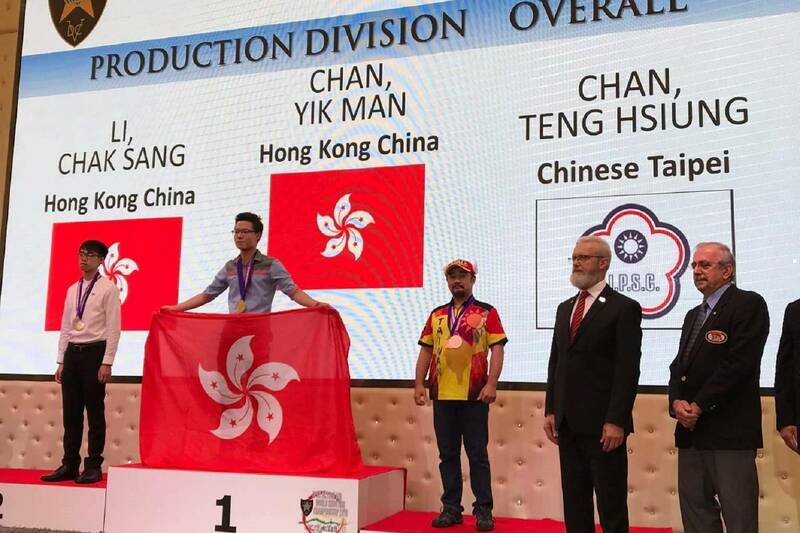 It’s the first IPSC world competition held in Hong Kong. 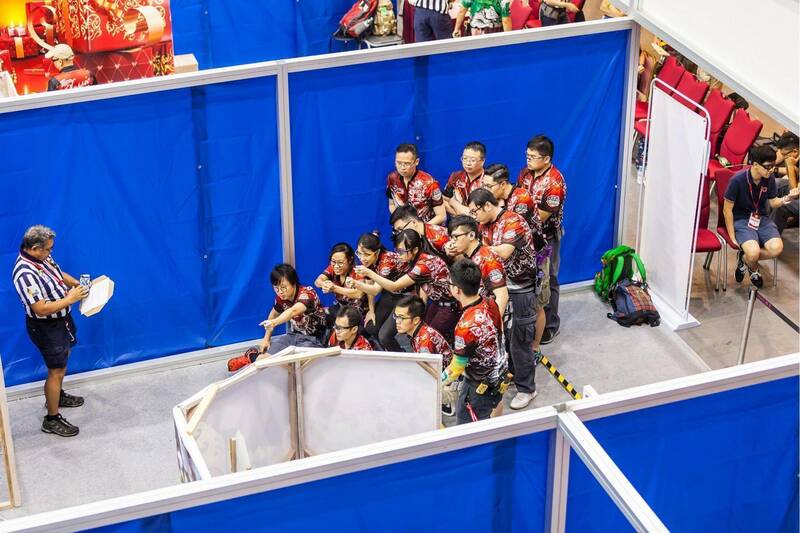 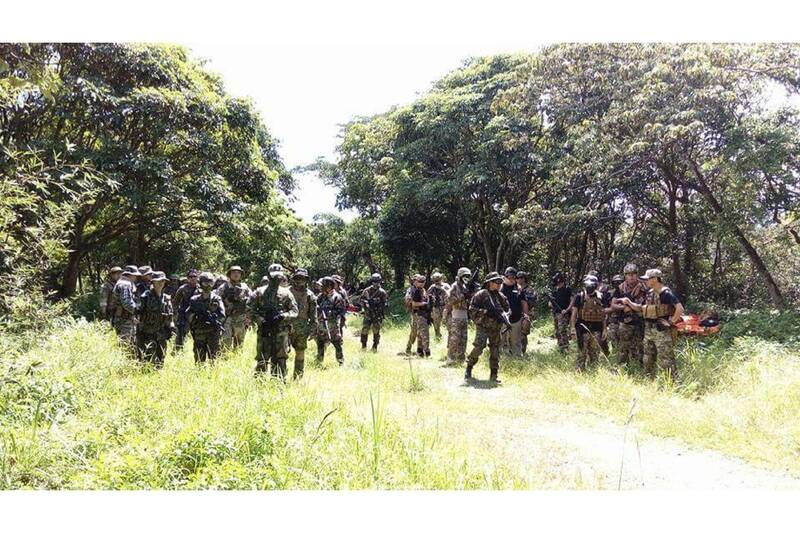 There’re more than 500 attendants from 18 countries or areas participated the game. 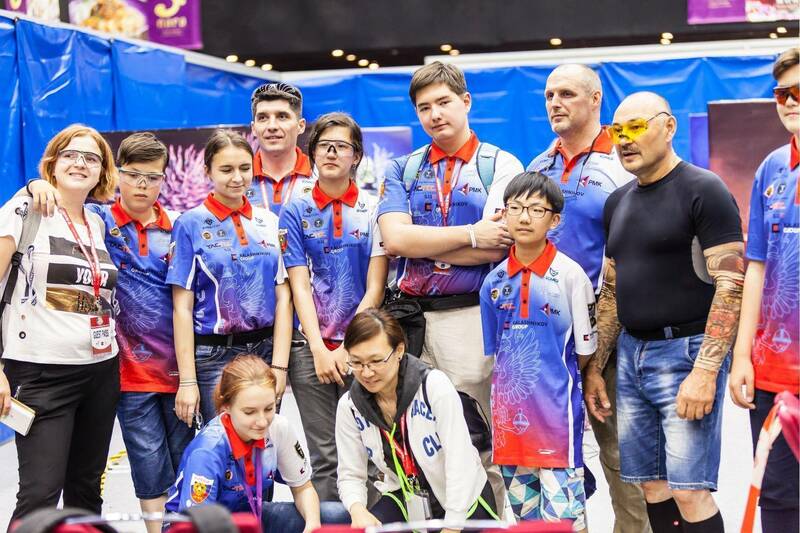 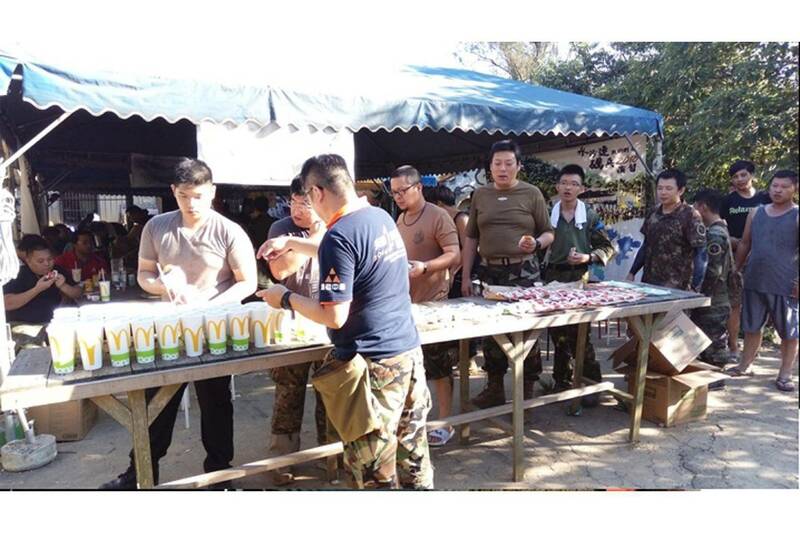 It’s certainly the height-light of Asian IPSC community…. 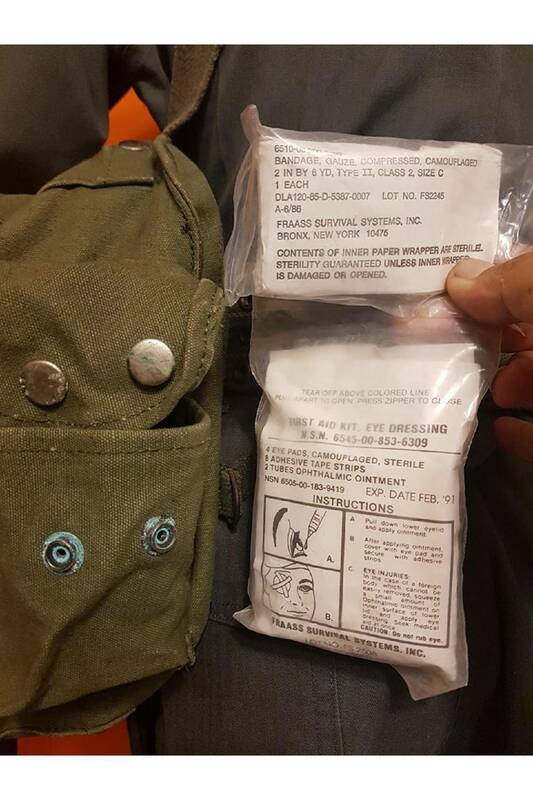 國造六五式步槍最近突然成為玩具槍廠熱門的複刻商品，引起軍品界大叔們的極大迴響，也讓筆者憶起當年服役的空軍警衛部隊，目前雖然已經裁撤，但是隨著這股老國軍的復古熱潮，不免也翻箱倒櫃找出壓箱寶，與大家一起回味分享… Domestic produced Type 65 assault rifle has become the most popular product of airsoft manufacturers in Taiwan, which also gained lots of responses from old-timers. 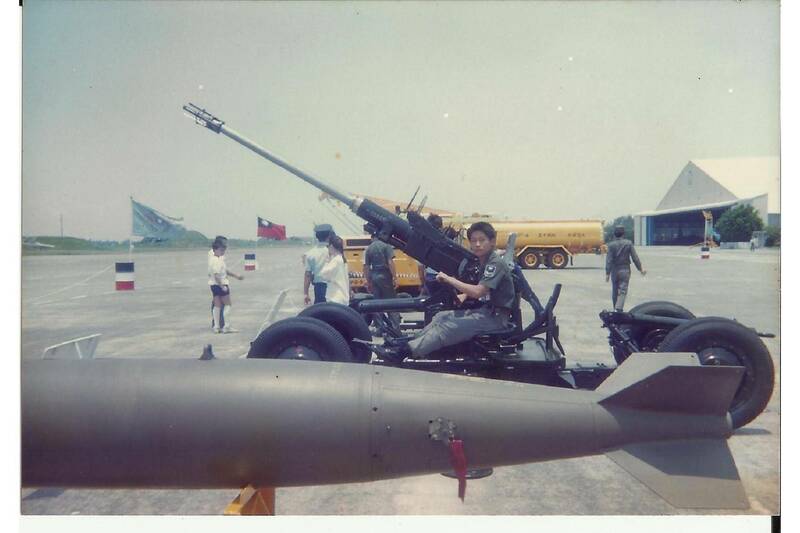 This reminds me of my service days in the ROCAF Security Guards. 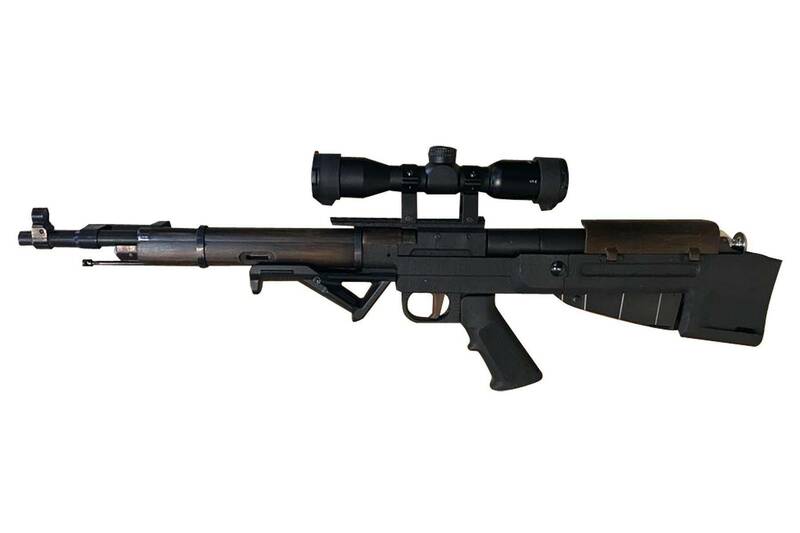 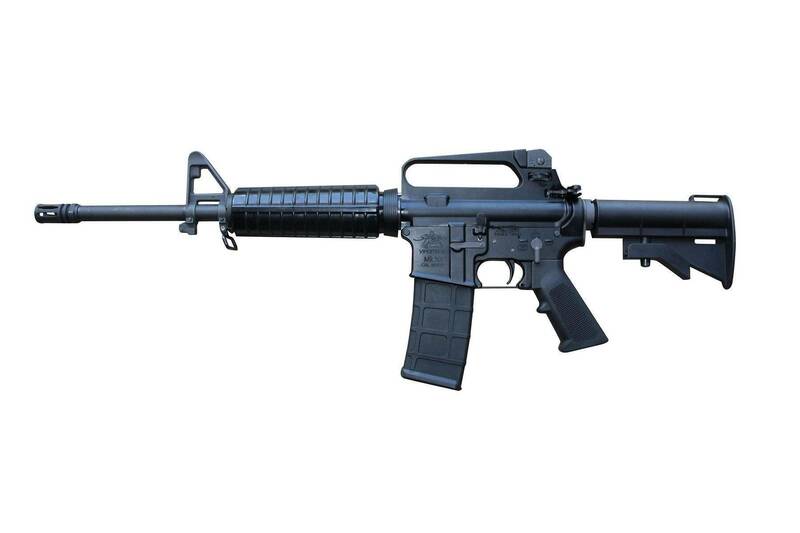 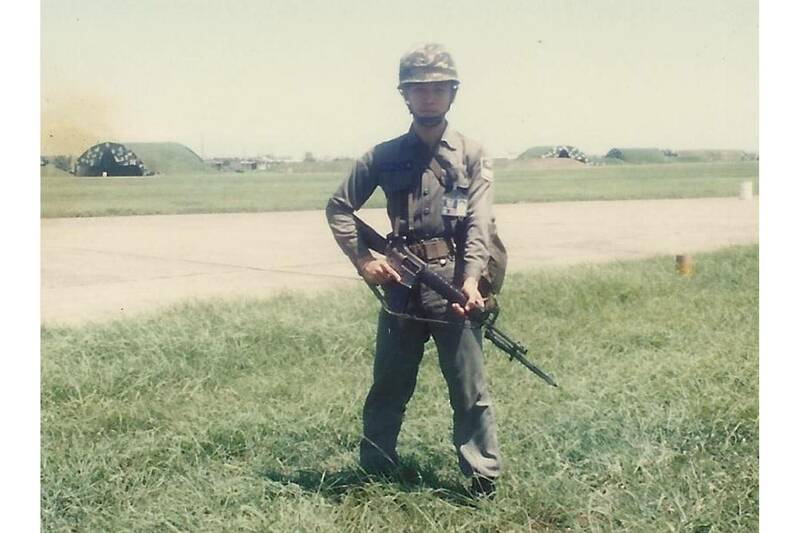 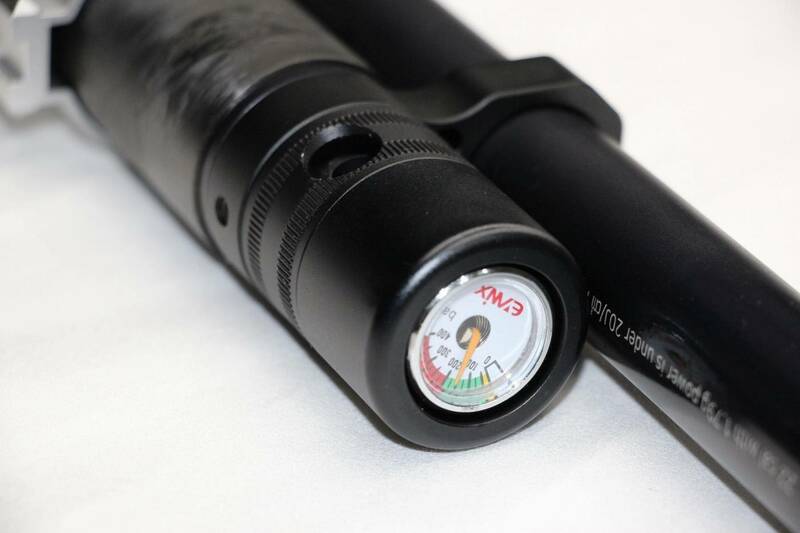 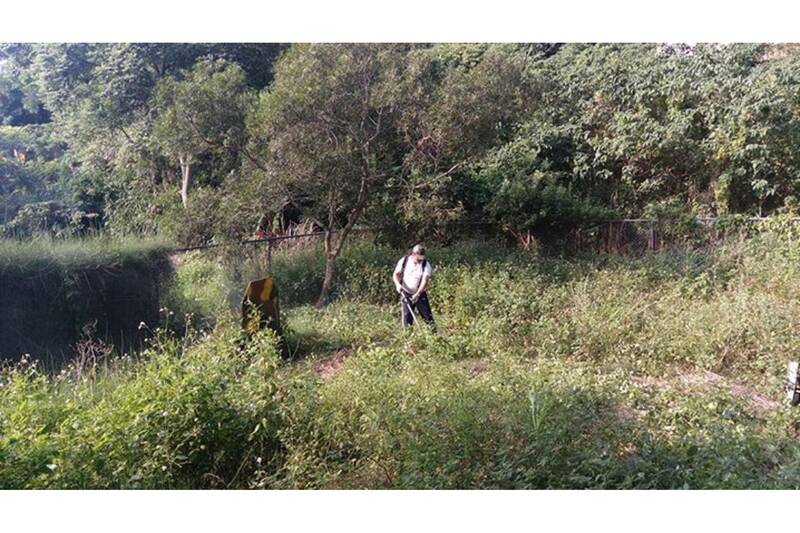 Although it has been decommissioned already, but the equipment and weapon of it are still worthy of reviewing…. 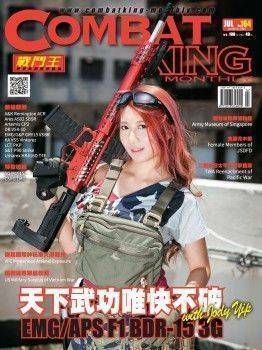 在2016年《天威測考》行動之後，讓很多玩家仍意猶未盡，為了延續這份情誼與感動，於是在新活動展開之前，藍軍指揮官〝教頭〞結合了天威測考團隊的〝條碼〞，還有多次辦理紅藍對抗的〝藍貓〞，自發性的在2017年舉辦了《罌粟行動》，今年適逢《礪兵行動》即將舉辦，於是將大家再集合起來，以演訓的方式，進行了這次《聖盔谷之戰》行動… The participants of Operation Opium have gathered to hold a large scale survival game which is called “Battle of the Helm's Deep”. 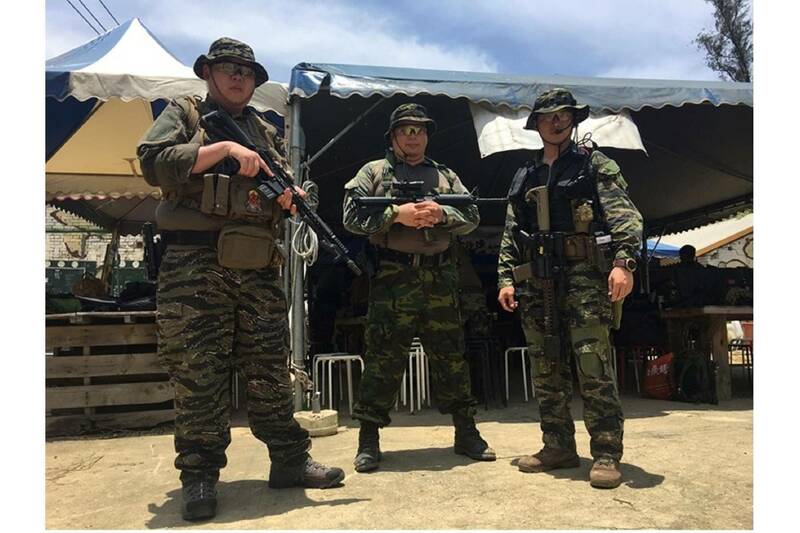 This game was held on May 26~27, and it can be considered as the pre-exercise of the coming Operation Super Hard Style….